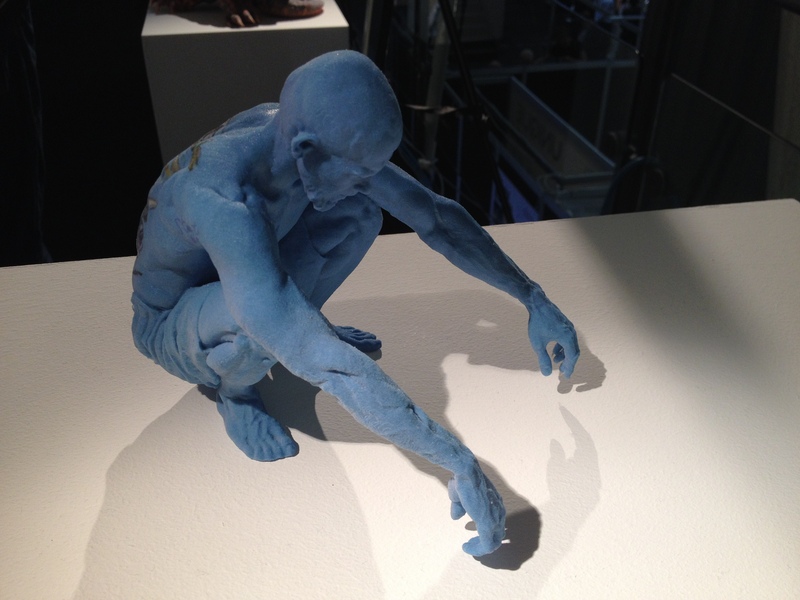 Philip Cotton – Page 2 – 3Dprintshow educational excellence winner 2013 and 2014 and all round 3d printing Geek..
3dprinting and slip casting? When I first read this on twitter I had to investigate further. Being a follower of this technology for the past four years I have seen many different uses and applications of the 3dprinting. However, the use of 3dprinting in slip casting is a first and the results of this new technique is truly stunning. 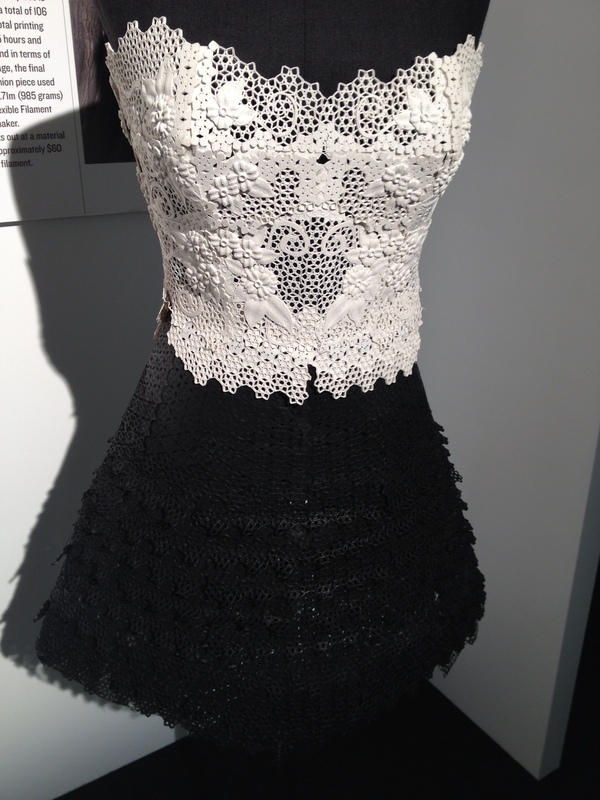 The concept is being pioneered by graduate designer and masters student Jade Crompton (Liverpool Hope University) . 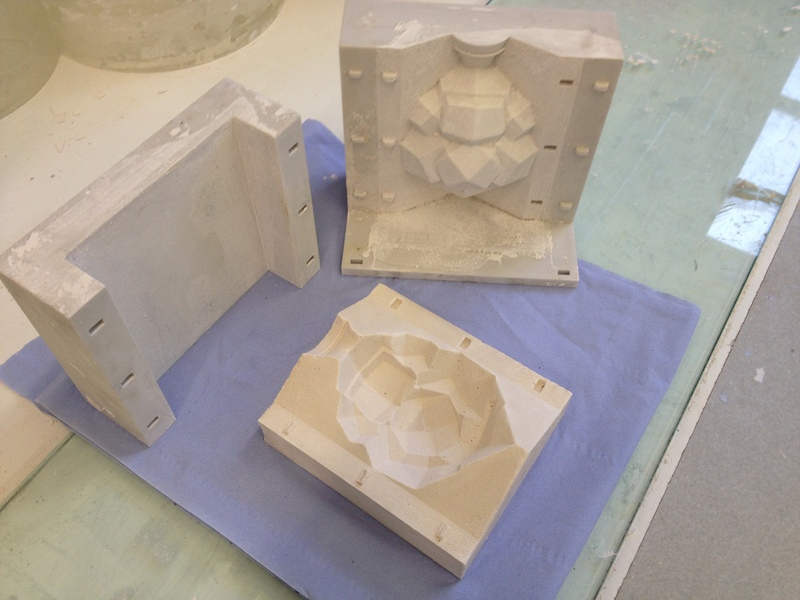 The idea behind Jade’s use of 3dprinting is to design and 3dprint a mould, then plaster cast into the mould, then using this final plaster mould for slip casting. 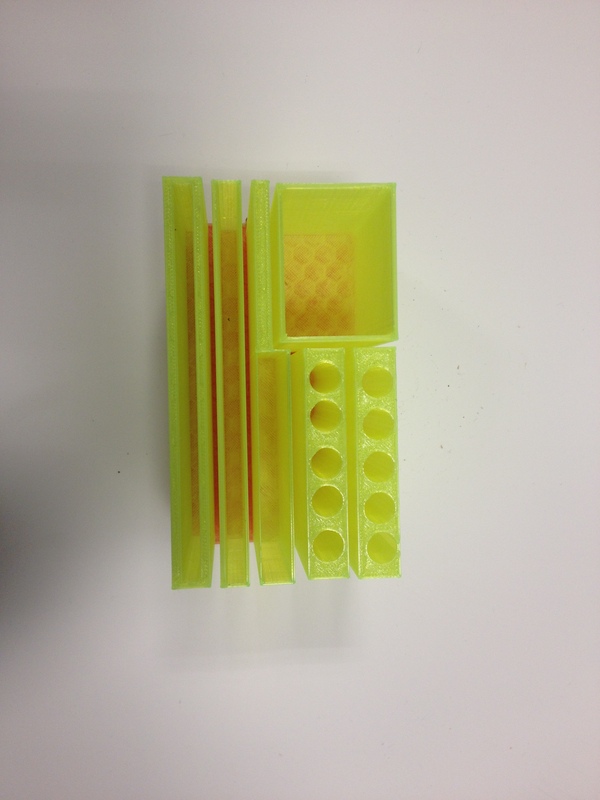 So in more simple terms, 3dprint a mould, cast this mould, then use the mould to make the final design. The outcome is not 3dprinted, but the process revolves around using 3dprinting as a core stage in the manufacturing process. 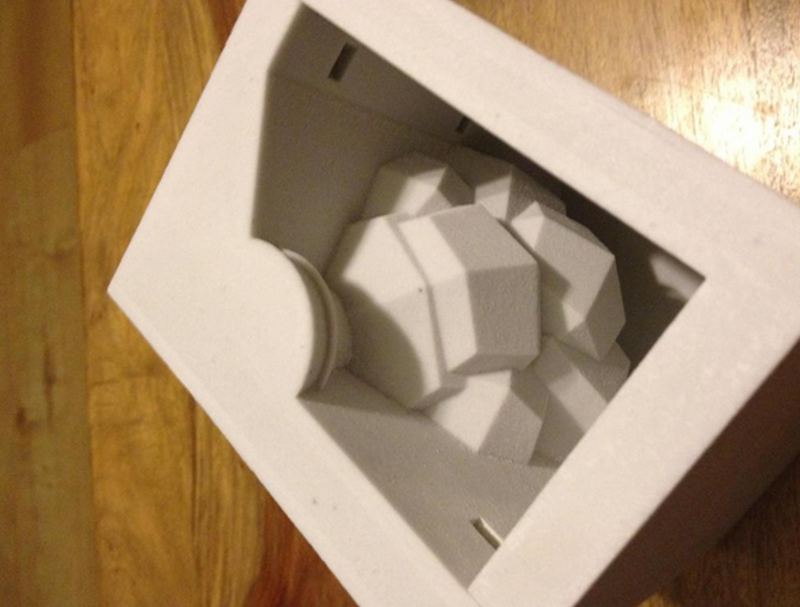 After catching up with Jade she described how she wanted to “create a 3Dprinted mould in plaster” that would allow her to create whatever design she wanted. 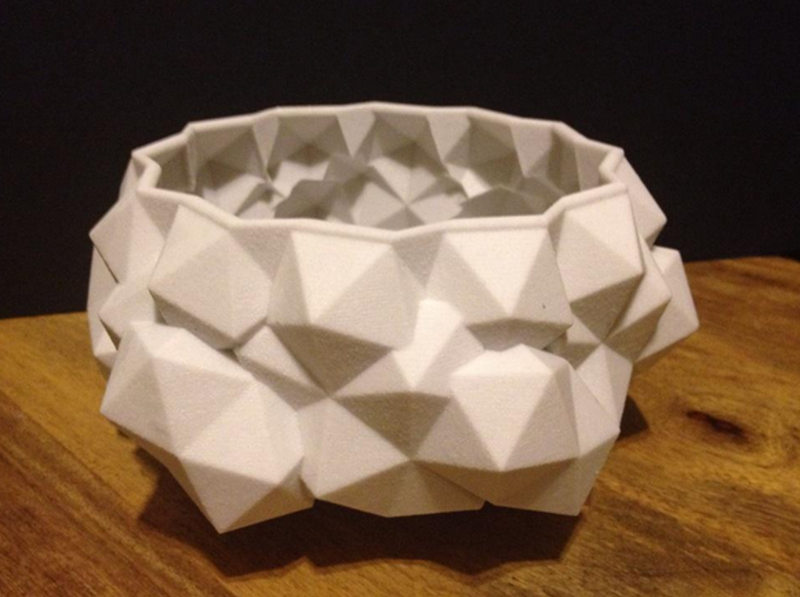 With 3dprinting in plaster not at a developed stage yet and still more research needed, Jade decided to create a 3dprinted mould using a Z-Corp powder printer. This would then allow her to achieve her ultimate aim of slip casting her solidworks designs. Looking at the outcome of this process is exceptional in terms on innovation. 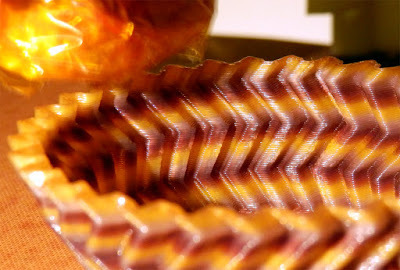 With the use of 3dprinting to create ‘moulds for moulds’ adds another dimension in terms of the creative use of additive manufacturing technology. The outcomes speak for themselves. 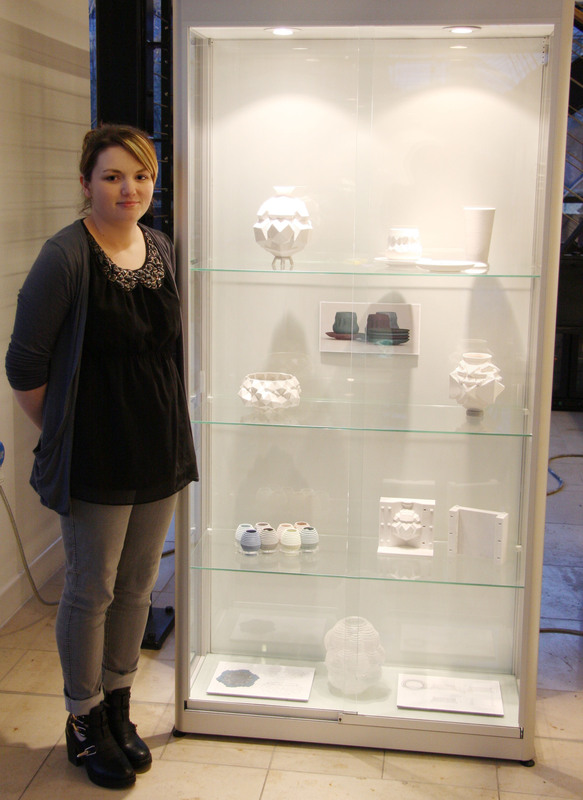 Jade has plans in the future to study a PhD in Digital design with the aim of researching a way of producing a 3dprinter that can print with liquid plaster rather than powder, allowing her to create moulds that are ‘slip cast ready’. This would then allow her to test and prototype designs much faster that her current process and allow for even greater creativity. 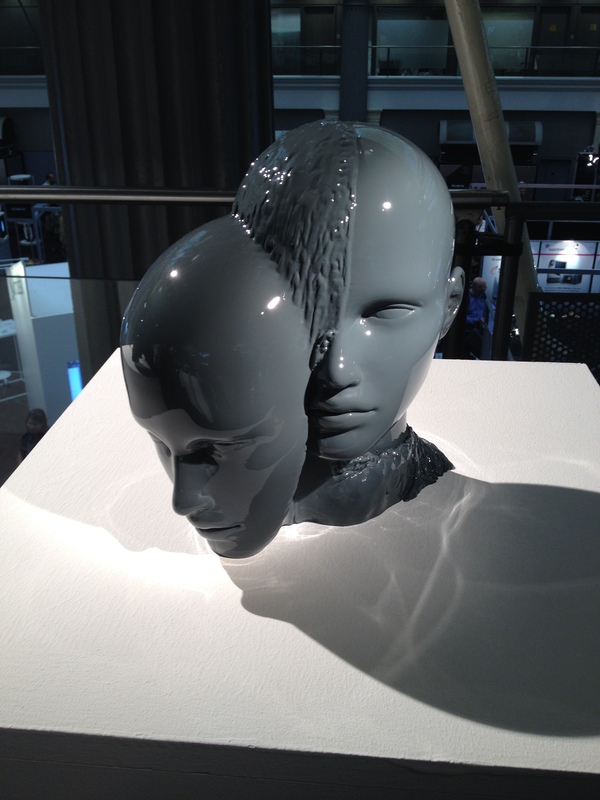 I have personally seen and blogged about many different examples of 3dprinted art work and sculpture, however this technique is unique. 3Dprinting evolves through designers, artists and engineers pushing the boundaries and taking risks with the technology and this is an example of how in the right hands, 3dprinting is a powerful creative tool for innovation. Jade is currently exhibiting her work at Cornerstone Gallery – Liverpool Hope University – 24th November – 10th December and then the Sara Preisler Gallery – The Custard Factory, Birmingham – June 2015. 3dprinting with no experience? No cad modelling skills required? 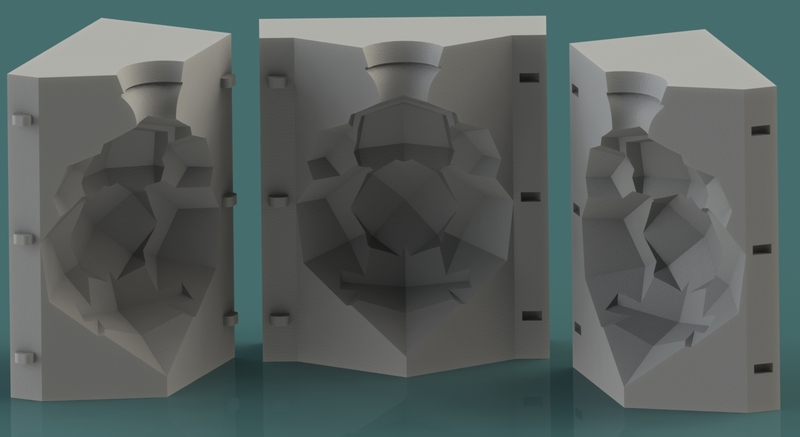 Anyone can create a 3dprintable design in under 5 minutes? Sounds like a dream come true and that is now reality with the release of Makers Empire 3dprinting software. One of the biggest barriers to elementary/primary school children learning how to 3dprint is the cad element. Teaching children how to 3d CAD model is not as easy as paint by numbers. Having taught CAD lessons to groups of 20 plus teenagers they can be tough lessons that are long and drawn out, with lots of challenges from differing groups of students. The thought of embarking upon this topic with even younger children is a daunting idea. 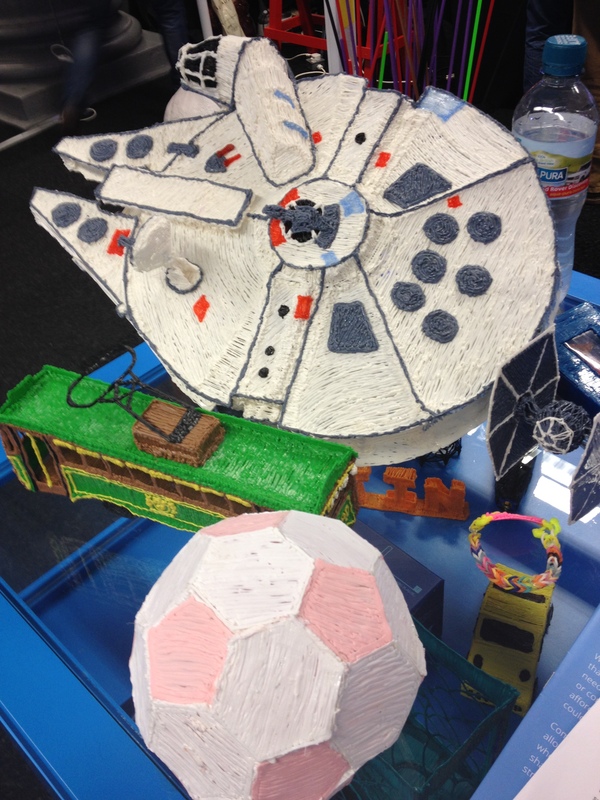 I have always thought to myself there must be an easier way to start students off with 3d design at a younger age. 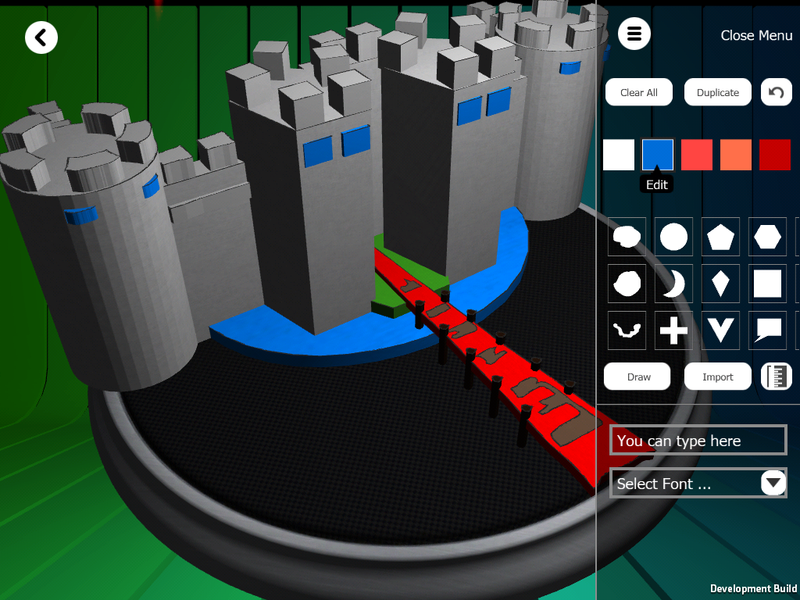 Makers Empire allows users with no experience of 3d design, to create models from scratch in a matter of minutes. The software is based around an app that uses finger commands through touch screen to draw and manipulate shapes into 3d that can be exported for 3dprinting. The process is simple, you draw a shape, extrude the shape, then resize and alter the design through the easily usable interface that anyone of any age can use. No mouse or computer desktop is needed, as this has been optimised for tablet use and is available on both Apple App store and Google Play. In the time of more and more schools turning to personalised tablet based learning, this is a perfect time to release the app. After speaking to Co-founder Lap Leung, he explained how, “Makers Empire have spent a lot of time testing and developing the 3d design app and learning program in classrooms with teachers to make sure it achieves learning outcomes.” As a teacher, this is music to my ears, many times organisations or companies want to promote their 3dprinting technology, but have never actually considered teachers or students views. If you want something to succeed in the classroom then the first point of call is the teacher and students for testing and development. Children don’t lie and as we have all probably experienced in our time and teachers can be brutally honest. Another great feature of Makers Empire is the international appeal of the app. The teaching resources have been written to meet both the UK and Australian national curriculum with clear and concise lesson plans that are easy to understand and have easily achievable learning outcomes. This is the most important feature of all, it’s clear what the students will learn and it’s clear how they will learn it! The activities are pitched correctly to the relevant age range and there is minimal preparation needed by the teacher. Also, this app is fun! It has its own personality and gives users instant feedback when you have successfully achieved something new. So many times my students have battled with CAD packages and hit the CAD modelling wall. This app puts an end to those frustrations and it firmly puts children in control. As well as student feedback being the most important, the teachers have embraced this software and are seeing new opportunities for using 3dprinting to enhance the learning across the curriculum. 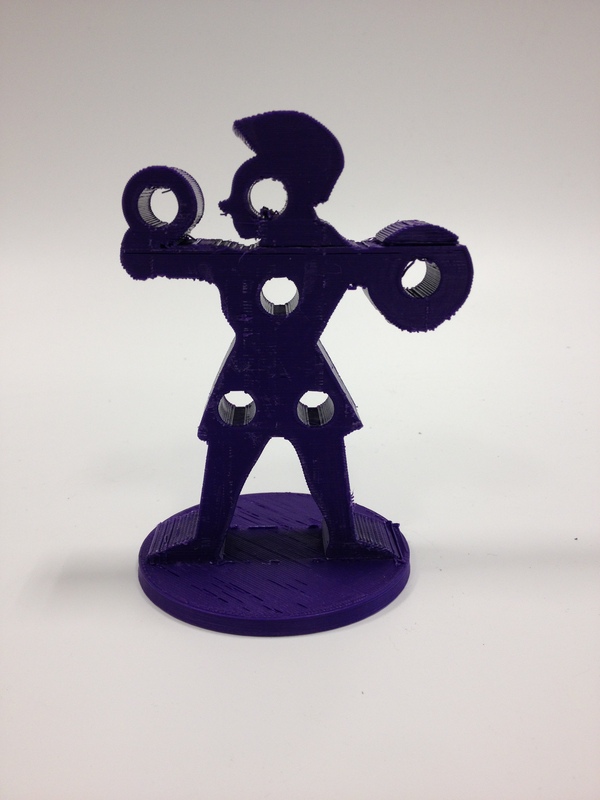 One teacher allowed their grade 2 students to create their own maths avatar designed in Makers Empire app and then 3D printed it to become their maths champion. Another teacher used it in their buddy program. Older primary school students would work together with their younger buddy in a lower grade and design their own 3D model. A great way to collaborate with different age groups! Overall this app, and the teachers portal that supports the app, is truly a game changer. Every child can succeed regardless of ability and they can embark upon a 3dprinting journey of a lifetime. 3D CAD modelling has just becoming exciting! For more information about Makers Empire click the logo below. 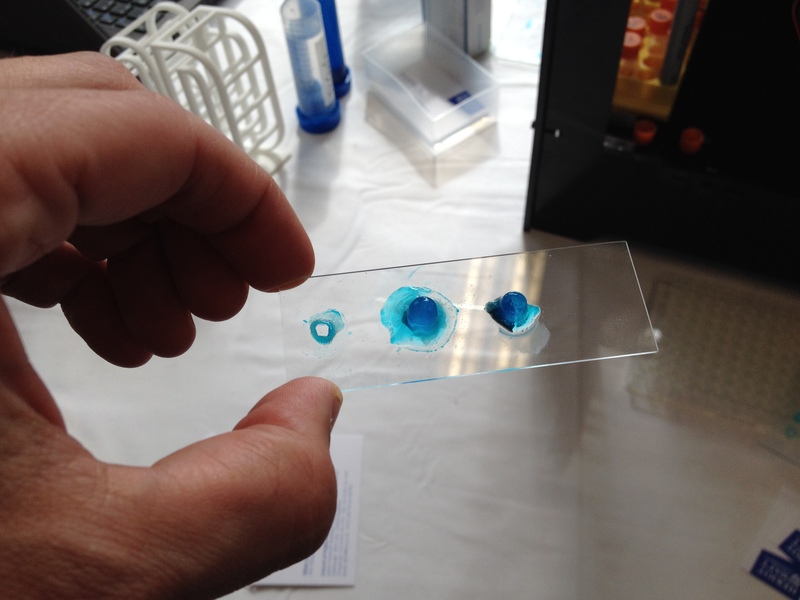 Bioprinting and 3Dprinting – a potential lifesaving use of the technology. There have been many innovative uses of 3dprinting that make the news almost every day. 3Dprinting cars and even houses are just a few examples of how fast the technology is emerging. It is widely recognised that the medical industry stands to make great strides from the use of 3dprinting through research and development and this was evidenced at the 3Dprintshow in London. During the 3Dprintshow there was a stand in the ‘3dprinted hospital’ section that caught my eye over all other exhibitors. There was no flashy corporate stand dominating the event hall, no pushy sales reps promoting their printers, just a desk with a 3dprinter and an information board explaining the project, along with Alan J Faulhner-jones. Alan is a PHD student from Heriot Watt University, who won the Inspirational individual award in the 3dprintshow annual awards ceremony. Alan won the award for creating a ‘bioprinter’ that is capable of 3dprinting human cells with the aim of using the printer to hopefully one day help cure some of the worlds most common diseases. Alan explained that, ‘New drug development can take more than 10 years and only around 16% of drug candidates that begin pre-clinical testing are approved for human use. Some of this low success rate is due to the different responses of humans and animal models used for testing. 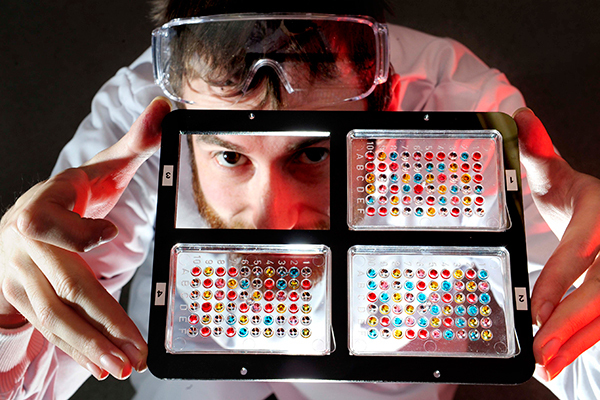 At Heriot-Watt we are working towards creating micro versions of human organs from human cells, such as the liver. These so called “micro-tissues” should produce the same responses that the entire organ would, but on a much smaller scale.’ The shear scale of this is truly ground breaking, if we could 3dprint living organs to test out new drugs, this could throw the medical industry on its head and really advance the fight against some of the most deadly diseases we so often encounter. Alan’s background is Robotics & Cybertronics for which he gained a Masters degree at Heriot Watt University and he has since used this expertise to create the Bioprinter that forms the core element of his PHD studies. Alan explained that, ‘It’s a continuous development cycle, I started my PhD in 2010 and I’m currently working on the 4th generation machine now. 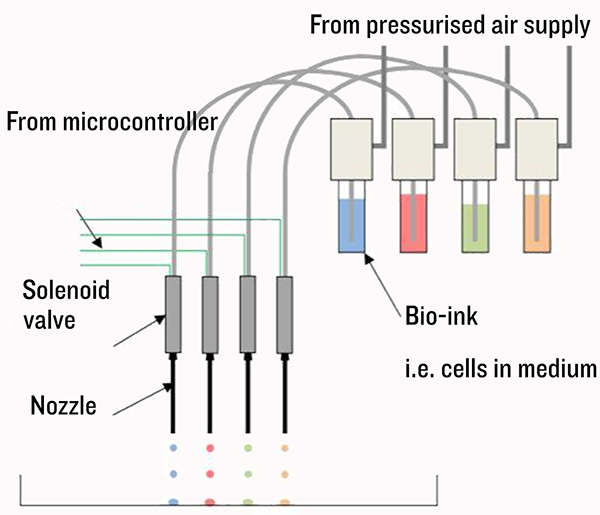 The biggest challenges lie with the biology; sometimes cells don’t do what you expected they would do.’ Also, in the first stages of application of the printer Alan is aiming for ‘liver micro-tissues for drug testing’ and in theory the technology could then be applied to generating tissues to repair the body using patients own cells to avoid rejection. This really is ground breaking use of 3dprinting technology and in terms of impact, it could have the biggest of them all. Alan really has a special project and I wish him all the best with this as I really believe that this will help the masses. Many people ask me how would 3dprinting benefit them in their lives, well this project right here could benefit us all in the future. Definitely one to watch. This is the interview that was originally posted on myminifactory.com on 14/10/14. I have been a Design and Technology teacher for 6 years and have led Product Design at Ladybridge High School for the past 5 years. My background is Industrial Design having studied a BA(Hons) degree in Industrial Design and Technology at Loughborough University. I then went on to gain a PGCE (Post Graduate Certificate of Education) from the University of Manchester in Design and Technology. 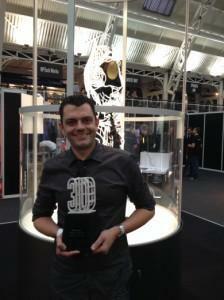 In 2013 I won the 3dprintshow award for educational excellence for my teaching of 3dprinting to high school students and I successfully won the award again in 2014. I have advised multiple other schools on 3dprinting and have led workshops for the University of Manchester to expose their students training to be teachers on how 3dprinting is used in the classroom. I have also advised the BBC and numerous other companies on how 3dprinting has been taught to high school students. In my personal time I have a blog philipcotton.com and I also contribute to the 3dprintingassociation. 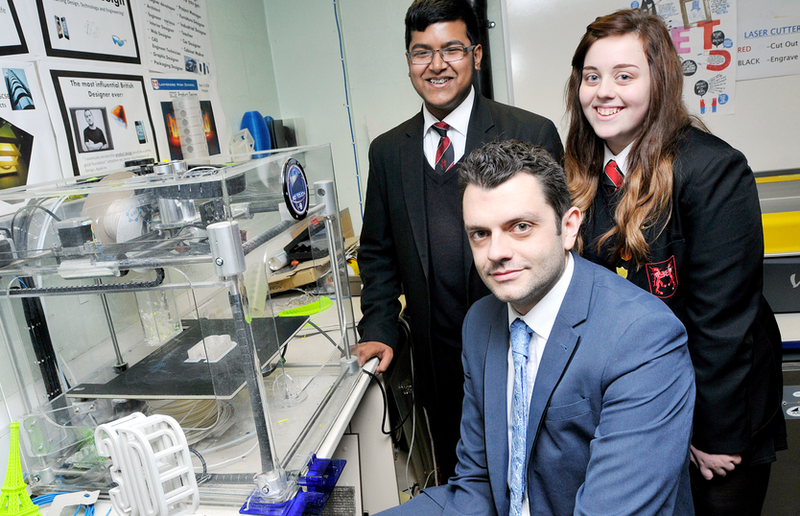 How has 3D Printing been used in the classroom of Ladybridge High School? Can you give us few early examples and recent examples? 3dprinting has become a core element of Product Design GCSE in the past few years with more integration into the subject every year I teach it. The first thing that I teach students is how to use 3D CAD modelling packages and then once they have a basic knowledge of that they can understand how to design parts for their projects. 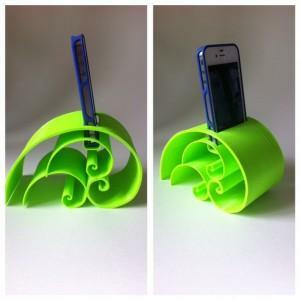 One of the first projects students will do in year 10 is an iphone case. 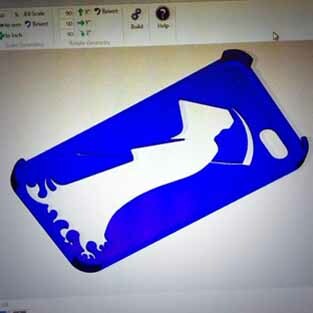 They will learn to design in CAD a basic iphone case and then they will customise it to their personal preference. This allows students to have a unique product that they can use and that no one else will have. They also have a sense of pride in the fact that created a product that they cannot buy in the shops. 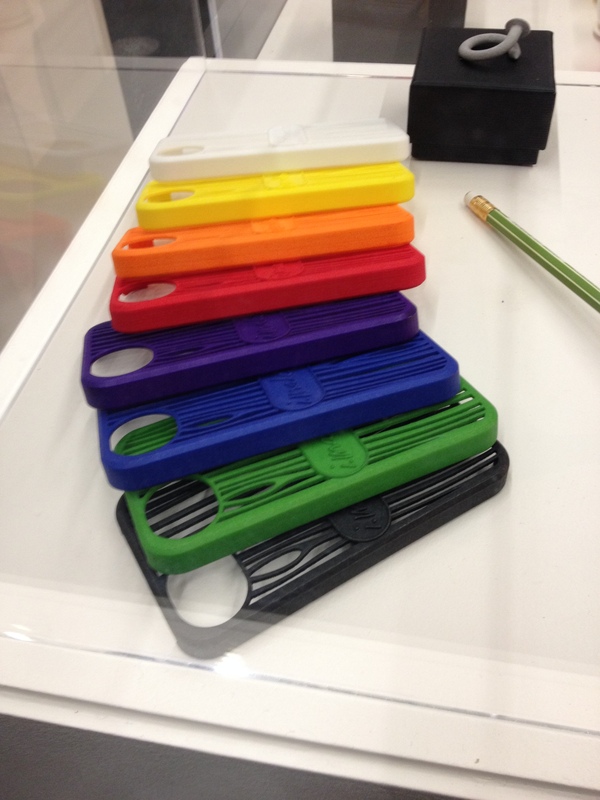 After students have learnt the basics on CAD and have successfully applied it to a project such as the iphone case they then have the option to use the technology in their final year project that makes up 60% of their GCSE grade. They can’t really just use 3dprinting on its own as they have to show a range of different skills, however if they can incorporate it into their project then this will be beneficial. I ask the students to incorporate lasercutting and traditional craft skills to show that they can demonstrate a range of different skills. 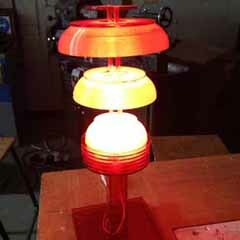 Examples of this are designing lamp shades or parts of lamp shades for their project. The basis of the use of 3dprinting is that it allows students to make something and turn an idea into reality that really may not be able to be manufactured any other way. It definitely increases the scope for enhanced creativity. Also in the new national curriculum students have to taught about new and emerging technologies and 3dprinting lends itself to this perfectly. 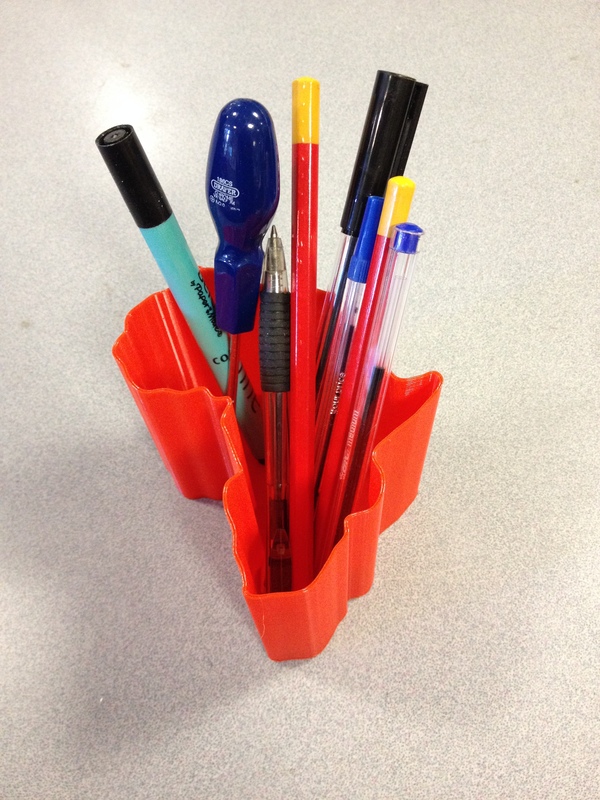 Another project that I have just started with my years tens is a culture inspired desk tidy. 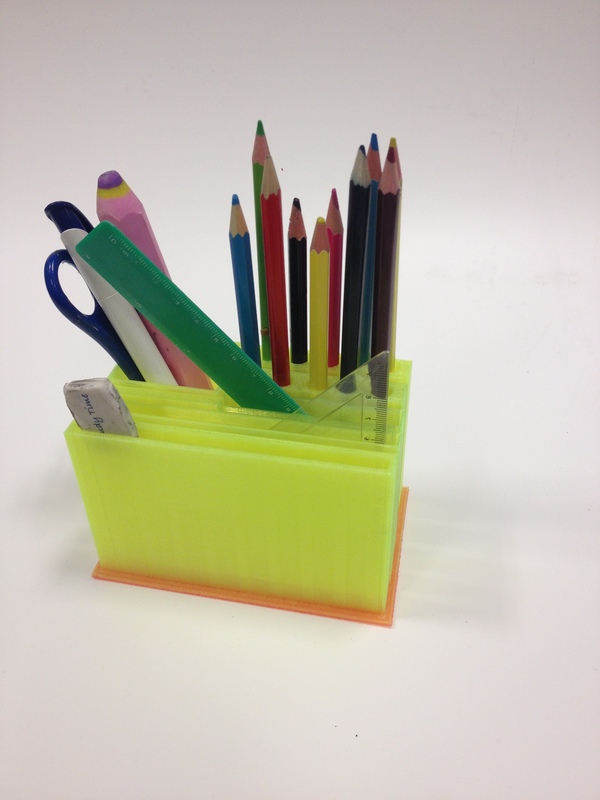 Student have to research a culture and then aim to design and 3dprint a desk tidy after having modelled it in CAD. This had proved a success as many students have a relation to a specific culture in my school so this enhances their motivation. How did the pupils react to 3D printing? I feel excited as there are a lot of things to do using the software and the 3dprinter. I also feel challenged to make new things. I think 3dprinting is totally relevant as it is new technology which will soon be very big in the world. ThereforE I think it is very relevant to Design and Technology. I feel challenged as it is something new and you can be creative. It allows you to be more creative and helps you to easily and quickly create intricate products. I do think that 3dprinting is as it is the way of the future. You feel excited because you have the freedom in what you do and you can design a lot of things. 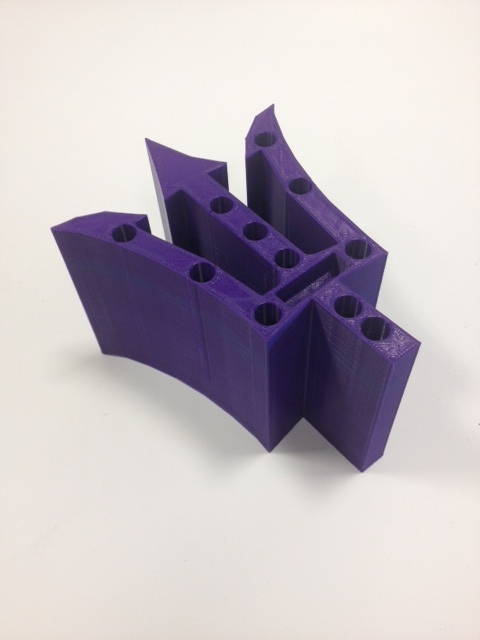 I find that 3dprinting has helped spark the imagination of pupils and it has also helped lead to a massive increase in grades from 38% A*-C when I arrived at the school to 79%A*-C which is significantly above the national average pass rate for design and technology which is 61% A*-C.
Did you experience any difficulties while teaching with 3D printing? Demonstrating the 3dprinter is easy and all pupils understand how it works. The difficult part is teaching the 3D CAD design to whole classes. This can prove a challenge as some CAD packages are extremely complex and pupils can find them over whelming. However, with good teaching they can learn it. I don’t really agree with downloading and printing parts from file repositories as there is no real educational value in this. The real learning takes place when pupils design their own parts. I also think it helps students to persevere with it and teaches them to keep working at something even when it is hard. Then there is the issue of printing out students work. This can take a long time and sometimes designs don’t print so the student have to re-design them, this can be a good learning process as it teaches pupils that things don’t really go right first time when making things. 3dPrinting is not something that the whole class can do together. They can all design together but then the result is a backlog of designs that have to be put through the printer. Then there is the issue of reliability of the 3dprinter. When they work they are amazing, however when they go wrong it can be a nightmare especially if you need to print student work out for a deadline. Teachers are extremely busy and don’t have the time to try and fix printers. I am lucky as we have an extremely skilled department technician that can fix the 3dprinters when they go wrong. However, when teachers are just starting out and they go wrong it can put them off teaching it again as it can be highly frustrating. Blocked extruders and levelling beds etc can be a nightmare sometimes and take a lot of time and patience to fix. Also there is the safety issue with many 3dptinting machines. They have extremely hot extruders that can cause a serious burn if children were to touch it and also the moving parts that could trap finders and really make a lasting injury. Many printers have enclosed their build platforms which should really be standard in schools. 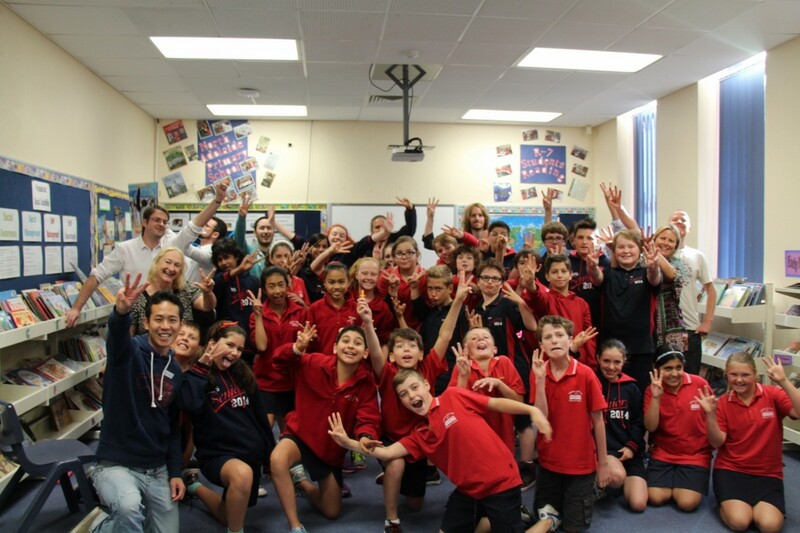 What is the motivation for you to educate the pupils about 3D printing? 3dprinting is expanding so rapidly that there will be many jobs by the time these pupils finish school. If they are taught about it now then they will have better employment prospects when they are older. Also the fact that the actual print process is exciting. When I first demonstrated the 3dprinter 3 years ago. I said ‘ok everyone in one hours time there will be an iphone case made by this printer and one of you can take it home’. The reaction on the pupils faces was priceless. The technology is current and pupils appreciate being taught the latest technology. They take it on board and run with it and they truly do create some amazing things. The technology interests me and I believe if the teacher is genuinely interested in what they are teaching then lessons will be of a far higher standard than simply teaching it just because it is on the curriculum. 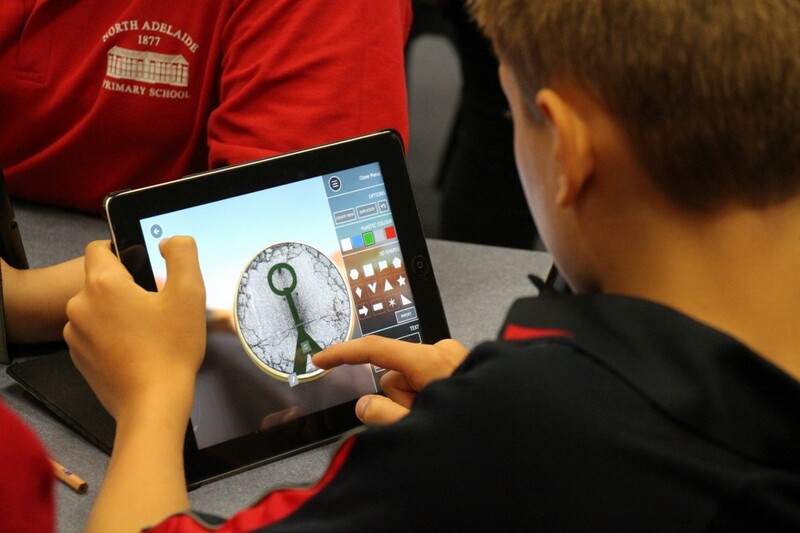 As we are aware of, you are now expanding 3D printing into the STEM subjects – how are you doing this? This is still in its infancy at the moment and we are looking at creating a stem club with science where students will learn about how rockets work in physics and the materials needed to make one. They will then link with Product Design so we can work together to enable the students to design their rockets on CAD and then 3dprint and test them. We have the technology to launch the rockets so hopefully it should be a good collaboration. Do you think there would be a possibility for 3D printing to be applied on the less technology-related subjects such as history, music and business? In some cases it could be used to provide resources for teachers to help educate the classes on e.g. the Smithsonian museum in Washington DC has scanned many artefacts in and teachers can download and 3dprint them in class to assist with learning. This is a great idea as it bring the museum to the classroom especially when a visit to the museum can’t be arranged. So in this case it is great. In music you could print your own musical instruments, however there is the issue of ‘quality of sound’. I don’t think a 3dprinted ABS saxophone would sound the same as a brass one. In Business it could be used if students wanted to design and sell a new product. However, for this to happen they would probably end up with the technology teacher as they would need to learn how to design the product in CAD and then they would have to 3dprint it. Then you have to ask the question is this a business lesson or a lesson in how to design and manufacture a product, then it would really be a design and technology lesson….. The one barrier to 3dprinting going mainstream into other subjects is the design aspect. You have to be able to learn how to 3DCAD model and there is only one subject where this is taught and that it Design and Technology. I think some teachers will experiment with it but the real place for 3dprinting is Design and Technology. 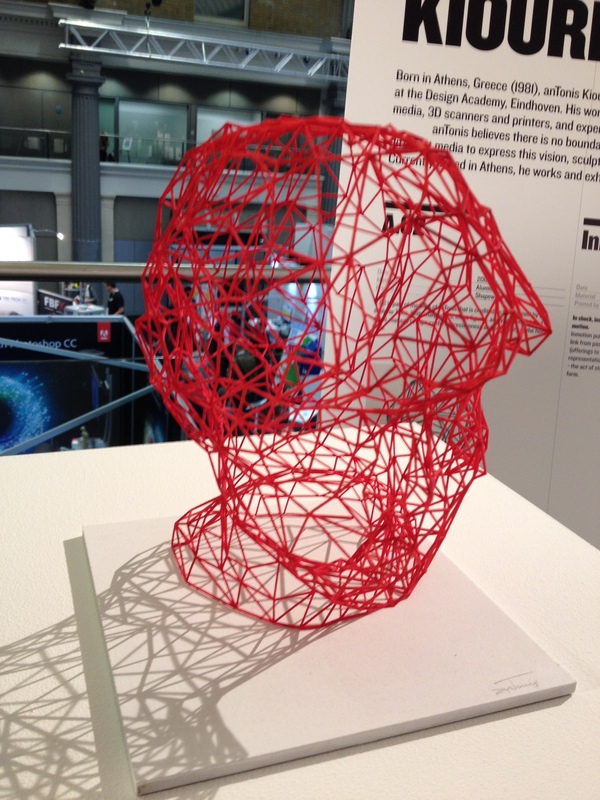 What is your general view on the future of 3D printing & Education? I am intrigued to see how it will ‘pan out’. Almost on a daily basis I am contacted by teachers from other schools needing advice on 3dprinting as they are struggling with it or need advice on where to start. The whole process has to be made more streamlined and more reliable for it really to explode in the future and all schools and pupils to be exposed to it. As I write this today I spent two hours after school trying to unblock the extruder on our new 3dprinter and became highly frustrated. I actually think FDM machines will be obsolete and maybe SLA machines will be where the future in 3dprinting will be. 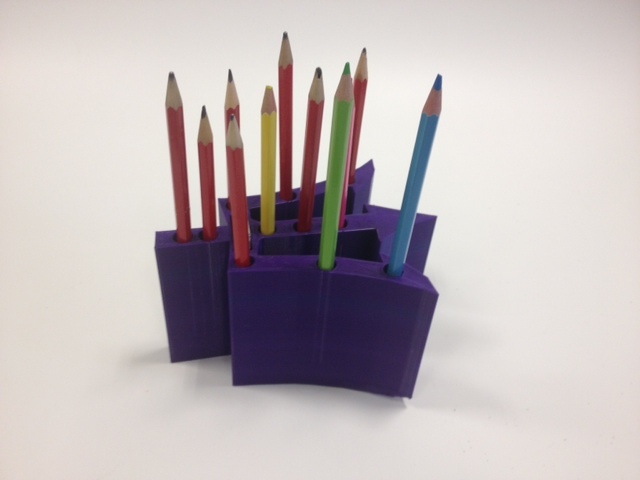 If teachers have the support and are prepared to stick with it, then 3dprinting is an amazing piece of technology. However, if there is not the support then in some schools they will just become large paper weights. I think the future lays with the printer companies and resellers. They need to make better machines at better prices and offer support as standard. In schools, budgets are under pressure and really 3dprinters need to be cheaper for the mainstream to adopt it. I couldn’t really see a geography department shelling out £2000 for a makerbot just to print a volcano or a 3D map when their whole budget for the year might only be £4000. Many printer companies would like to market the fact that all subjects can use 3dprinting as this will mean that they can sell more printers and ultimately make more profit. However, the reality is the whole point of 3dprinting is to design and make things and this is the core ethos in the Design and Technology curriculum so any other subjects will just be experimenting .Also with the technology emerging so fast and new machines coming out all the time, some schools might be reluctant to invest as in a year the technology would have advanced so much that the machine would be out of date. Three years ago we spent £2500 on a Bits from Bytes 3D touch and now the machine is obsolete and is not even sold anymore. Along with this some printers are down to under £800 and can print twice as fast so schools either have to take the risk and invest in technology that within a few years will be out of date or play the waiting game. 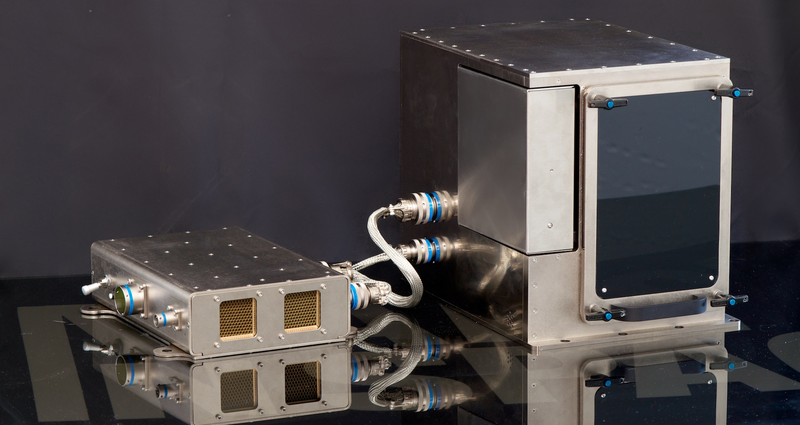 Once on board the International Space Centre, the 3Dprinter will print a series of parts, tools and even students STEM projects to study the effects of 3Dprinting in zero gravity. The printer has been re-designed to meet the demands of the lack of gravity, with an adapted extrusion method along with thermal process adjustments so that the printer will print safely in ABS. To develop this project was no easy feat. 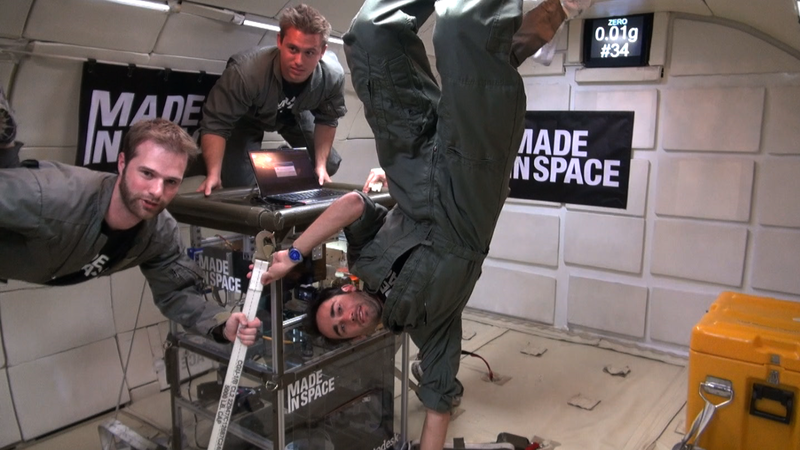 It took over 25 employees along with over 400 hours of ‘micorgravity flights’ flown on a modified Boeing aeroplane, along with over 30,000 hours of testing to develop the printer to print safely in zero gravity. If you think about how 3dprinting works, any parts that are held in place by gravity might move, resulting in the print being destroyed, so to combat this is a major accomplishment in the advancement of 3Dprinting technology. A major advantage of this project is, ultimately, if successful, it could drastically reduce the cost of sending spare parts into space. Already NASA has spent over 1.2 billion dollars on spare parts for the International Space Station that may never be used and launching anything into space currently costs $10,000 per KG. If you had the ability to cut out the transport of parts into space by manufacturing them on demand, huge financial savings could be made and spent elsewhere. Also you wouldn’t need to store spare parts on the space station you could simply manufacture as needed, freeing up vital space in the ISS for other uses. More possible advantages include creating designs that could be 3Dprinted in space to due zero gravity, so the boundaries of traditional design and 3Dprinting could be could be redefined. The future of this project is really ground breaking. NASA estimates that 30% of the International Space Station parts could be 3Dprinted and also if we are to explore space even further, 3Dprinting is an option that will form a vital part of the journey. Information and facts obtained from madeinspace.com. I am often asked how do you teach 3dprinting to whole classes of students? Many people outside of education seem to think that there is some kind of barrier to teaching the technology in a classroom. They see these great machines that print out objects layer by layer, but when it comes to education I have heard comments such as, ‘well they can’t all 3dprint at once so how does it work?’ True, you can’t have 20 students work all 3dprinting at the same time. We’re not in a situation where students all have their own printers in class to tinker with. The situation we’re in is like when personal computers first came out, if you had one in the classroom tucked away in the corner you were lucky. 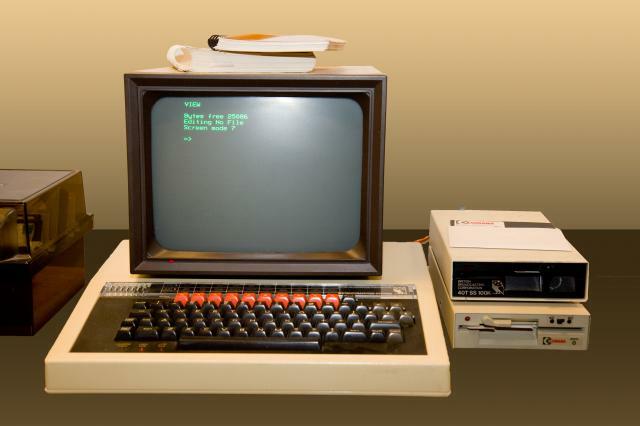 I remember having to take turns in class to use the ‘BBC computer’ we had just acquired. Now we have developed to a place where each student will have access to a computer without limitations, we have dedicated computer rooms with 30+ machines and in some schools they are moving to a climate of students having their own ipads to use in all lessons. 3Dprinting in class is not like traditional technology lessons where all students would be working away cutting mdf or acrylic. The process behind 3dprinting and creating a 3dprinted part is almost purely digital and the 3dprinting part is the end result. 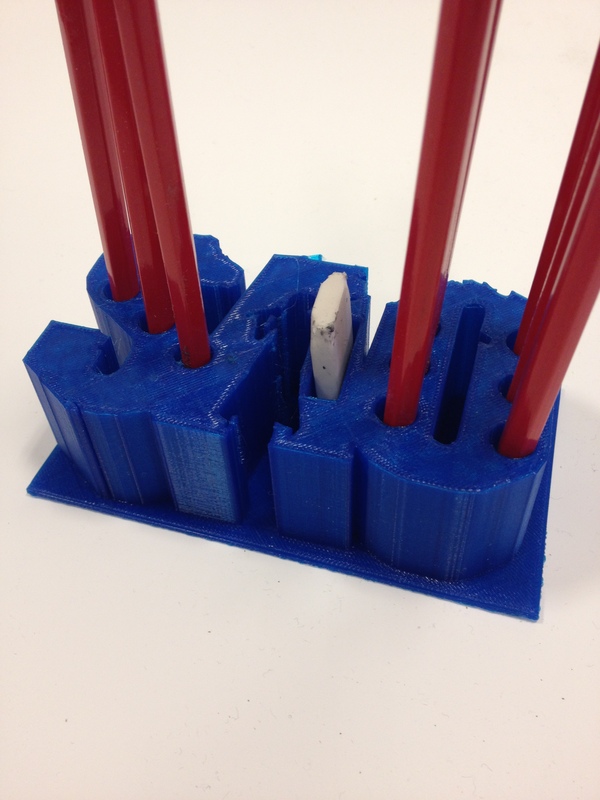 The key important feature to teaching students about 3dprinting is not the actual machine, but how to design a successful product that can be printed on a 3dprinter. Numerous companies have asked me how do I teach the technology? Many times during a sales pitch of them trying to sell their printers they claim, ‘the kids can download free models from thingiverse and print them’. ‘Ok, where is the educational value in that’ I respond….’ lets just print someone else’s work… what have I learnt?’ The answer…. nothing. 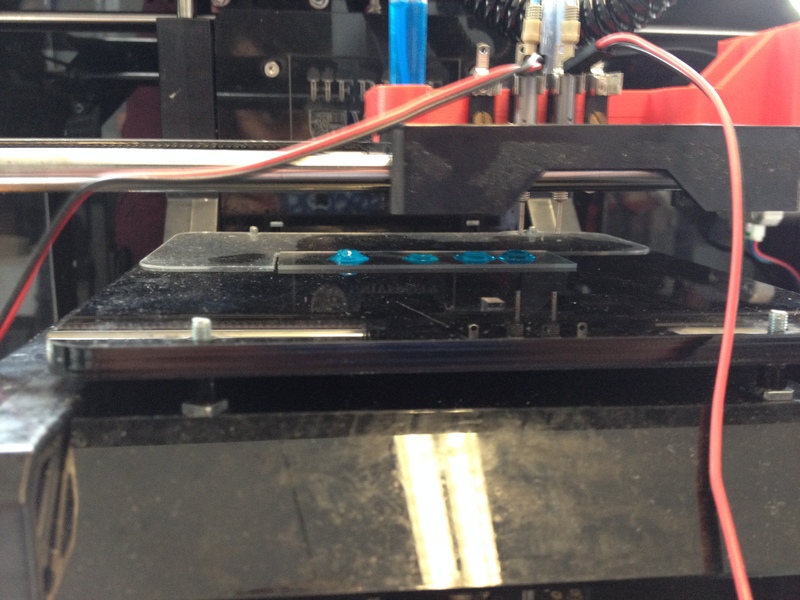 The key learning behind 3dprinting is getting the students working on 3DCAD packages. The design aspect is everything to 3dprinting. Students need to learn the basics of 3DCAD and then apply the knowledge to design their own product. From personal experience, teaching 3DCAD to whole classes of mixed ability students can be a real challenge. This is when a teachers knowledge of the CAD package is vital. Teachers need to know the CAD package they are teaching inside out, with so many features and options for students to explore and venture into, teachers need the confidence to be able to guide students in the right direction and ultimately teach them how to correct their mistakes. That’s another great thing about 3dprinting, we teach children it’s ok to make mistakes and that we learn from mistakes. We are in an educational culture at the moment where children feel like failures if they make mistakes, some children are afraid to fail. We celebrate success and look down on failure. However, how are we supposed to learn if they can’t repeat things that have gone wrong? 3dprinting helps challenge this fear of failure. During the design process in lessons, students find they when their designs are printed they have to go back and re-design and print again to achieve perfection in their design. They are ok with this as they can see that their product will work, it might just need some minor adjustments. That’s another great feature of 3dprinting, you can make perfect designs that look fantastic. The technology takes away the lack of practical skills that some students struggle to adopt. If I design a basic iphone case and then teach my students to design the same case, when printed you would not be able to tell the difference between the teachers case and the students case. It allows the outcome of students work to be on a level playing field with anyone, no matter how practically skilled they might be . 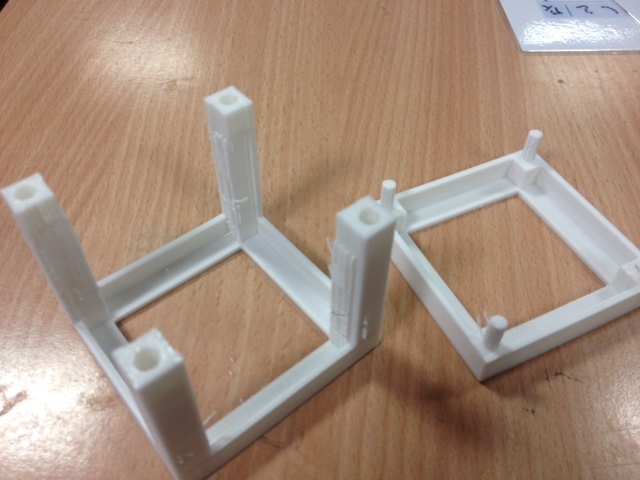 I have also found that with my current GCSE students they are extending their own learning by experimenting with 3DCAD and have lost their fear of failure. They are ok with the fact that it might not work first time around and they expect to have to re-design and this is where the key learning happens. This replicates real life Industrial Design. Apple doesn’t get it write first time, sometimes they have to re-design thousands of times to achieve perfection in their products. There is no real formulae for teaching 3dprinting in lessons, you just have to concentrate on CAD give it a go and see how your students take it. If it works as a whole class great, if it doesn’t then maybe small groups or after school clubs. One thing it will do is spark students imagination and creativity, that a given! Below are some photos of how 3dprinting is used to various projects. 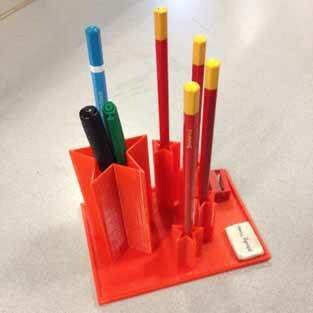 From left to right is a culture inspired desk tidy by a year 10 student. 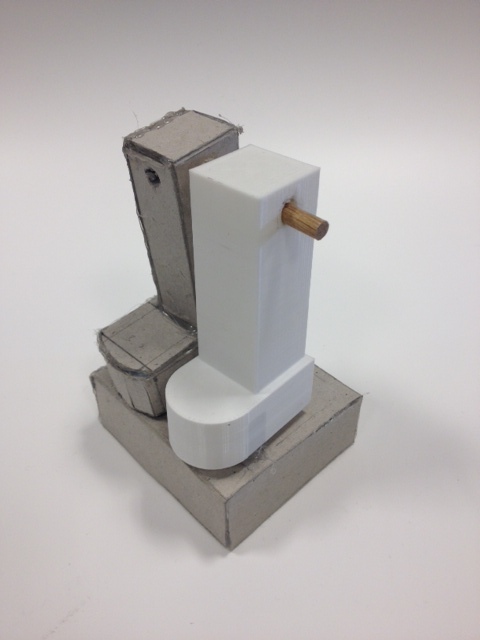 The robot leg is 3dprinted and will form part of a retro styled robot lamp that will move. This student is working from his initial cardboard model for measurements and then 3dprinting the final design in separate parts along with vacuum forming and lasercutting. 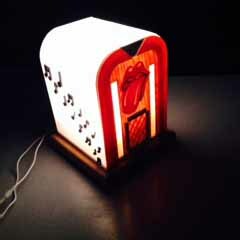 The lampshade is a prototype for lamp that will be designed in the style of a vintage camera and the final image is for a part of a design that will be a Di Stijl lamp when finished. Founder of the 3dfilemarket.com, an online community to download and share 3D printing designs and to promote 3dprinting, Philip Cotton is a teacher consultant for BBC learning who teaches design and technology at the UK Ladybridge High School. 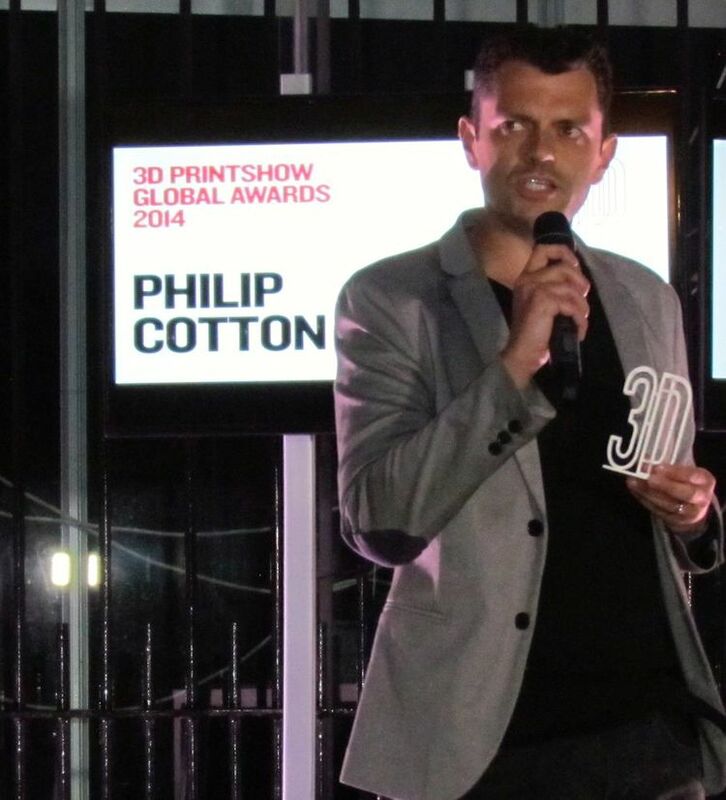 Philip Cotton was one of the first teachers in the United Kingdom to introduce 3D printing in the classroom. 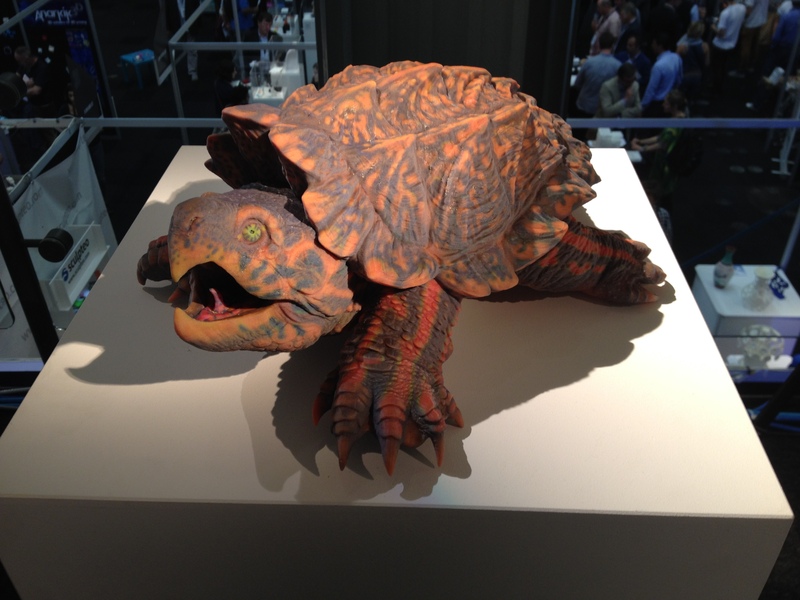 For the second year in a row, Cotton recently won the 3D Printshow 2014’s Educational Excellence Award for his services to education. 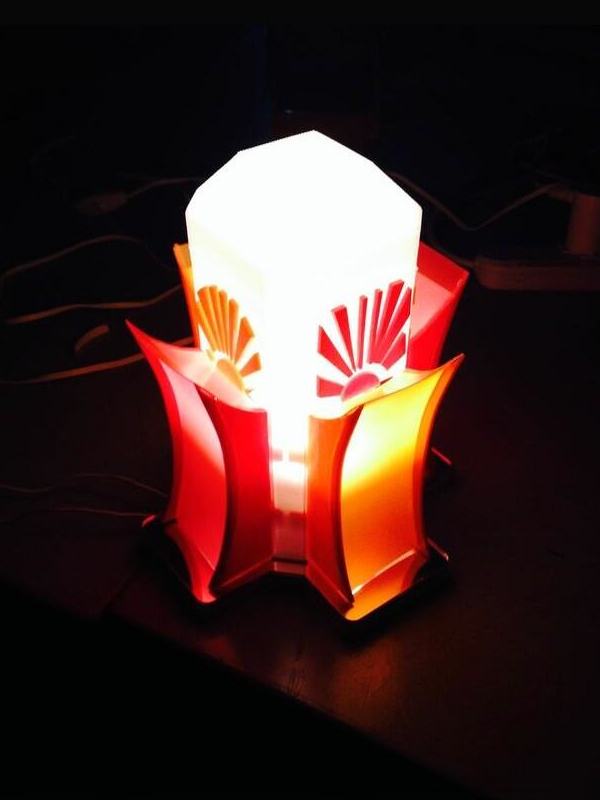 Recently we’ve learned that Ladybridge High School’s students had created 3D printed lamps for their GCSE examination. 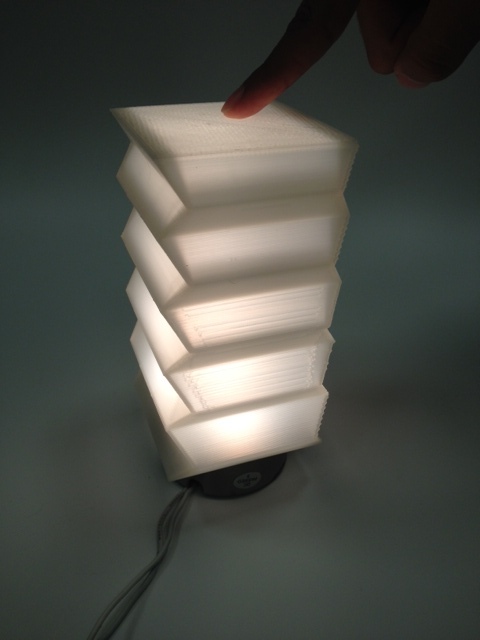 Philip Cotton has been working closely with students teaching them to design and print models. The results were outstanding and students were awarded some of the highest marks that the teacher has ever given. 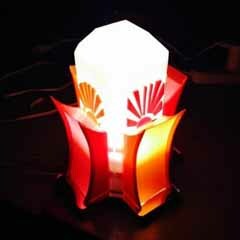 The lamps were later on displayed at the school’s annual Arts, Products and Textiles exhibition. 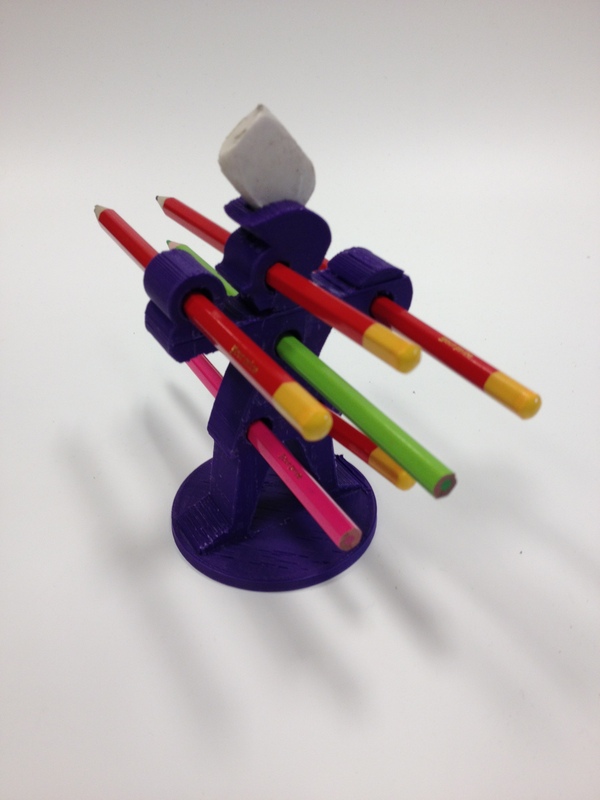 Philip Cotton’s 3D printing contribution to education is already yielding positive results. Some of his students are having their designs published on websites and are using YouTube to train others. – Why is the new generation so important? The new generation is extremely important as today’s children will be tomorrows future engineers/designers in 3D printing. If we don’t educate our school children in this technology then they will get left behind in the global economy of 3dprinting in the future. We are educating children for technology jobs that do not exist at the moment so we have to prepare them as well as possible, and that means educating them on the latest available technology in 3dprinting. – How is 3D printing accessible to children? 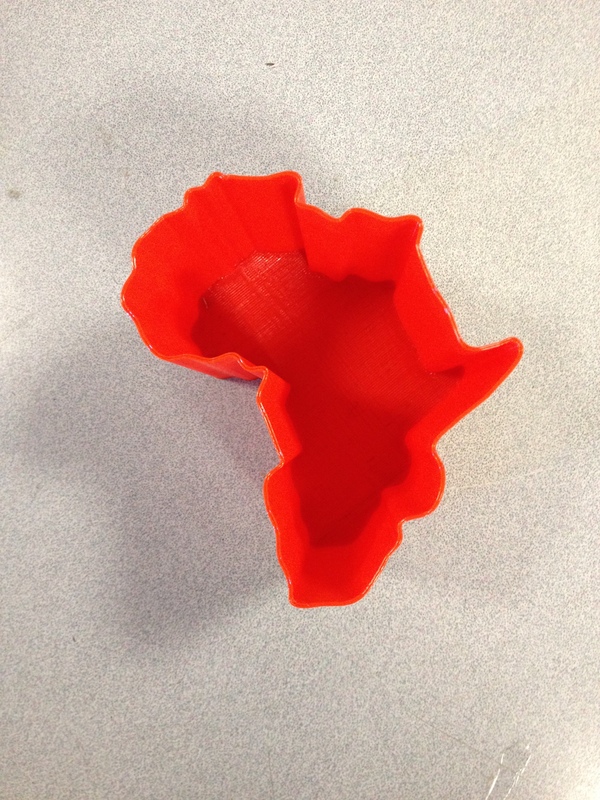 3Dprinting is accessible to children through many different avenues. The first and most important should be in schools where children can use the technology to design and make objects or prototypes in technology lessons. Also at home is a great place for learning with 3dprinting. When parents buy 3D printers to tinker and make things, undoubtedly children will take an interest. Children are naturally inquisitive and given access to the technology they will show an interest and be engaged with it. 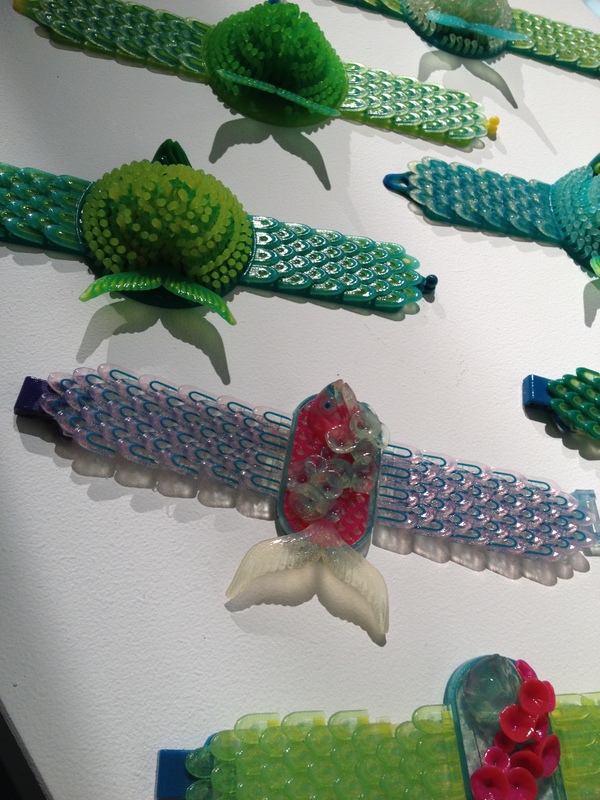 – From which age can we really give children access to 3D printing? For safety reasons, unsupervised it should be 14 years old, while supervised, any young age. 3D printers are amazing but they can be dangerous if children mess around with them. They have extremely hot extruders that can cause extreme burns and also moving carriages that can cause injury if children get their fingers trapped in them. You can teach children about 3D printing from any age and the younger the better, however I do feel that they should be supervised when using the machines for their own safety. – What took you to create the http://www.3dfilemarket.com? I decided to create the 3dfilemarket after using cubify for about a year. I hosted my designs on their platform and people started paying to download and 3dprint them. 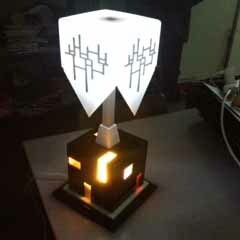 However cubify ended their open marketplace and I had nowhere to sell my designs. So I decided to set up the 3dfilemarket. I hosted my own designs and then other users started to add their own designs, both for free and for a download fee. All the designs are checked for print-ability and if there is no photo of the actual printed outcome then it will not appear on the site. 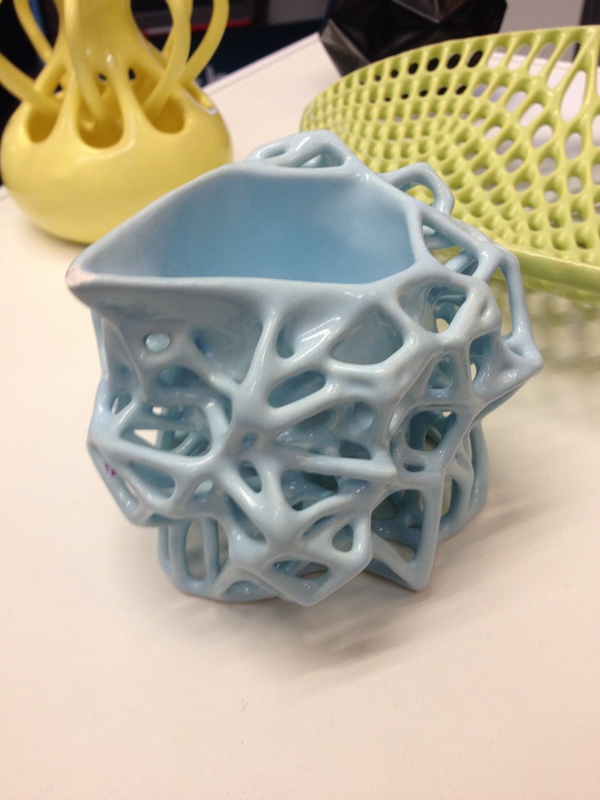 – Is your Business Model only based on the exchange of 3D printing designs that you select? The website is based on exchanging STL files. I don’t select them but I moderate them. The reason is for good design. The idea is to keep all the designs printable. Every design that is uploaded to the website is checked for print-ability. This is to ensure that users have a smooth and positive experience when using the 3dfilemarket. If there is no proof of printability then it will not appear on the site. – Why don’t you accept any CAD screen shots in your website? If you create your design in CAD, no matter how complex your design is, it doesn’t mean that it can be 3D printed. If you create a file to upload onto the 3dfilemarket, and especially to sell it, you need proof that it can be 3D printed on a desktop 3D printer like Makerbot, Ultimaker or Solidoodle. If designs where allowed on the site that had not been checked for print-ability then the people could be paying for copies of designs that do not print and this wouldn’t be good. 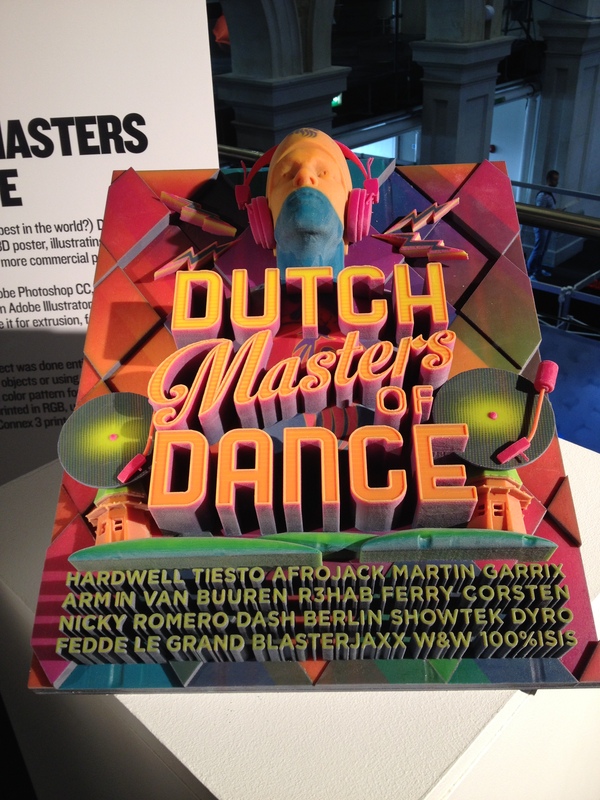 If you buy a copy of a designer’s work then you expect that what you pay for is proven to be printable. – But there are so many more models that are free than paid. This is true and the great thing about 3D printing at the moment is so many good designs are free to download and 3D print. Some designers add a download fee to their work and that is entirely their choice to do that. It’s like the app store or Google Play Store, when you download apps, some are free and some are paid, the concept is the same. I don’t have an issue with paying for good design as I feel that good designers should be rewarded for their talents. When MP3s first came out they were all free to download and file sharing was common, now ten years later paying $1.00 for an MP3 is the norm and everyone excepts it. The artists get rewarded for their work. – What do you think about the open source model? Do you think it is sustainable? Open Source is great because everyone shares ideas and makes technology better. Open source is good for getting ideas out there and for developing technology. But there comes a point when the technology becomes so valuable and ad vanced that companies are reluctant to share their secrets of their work so they stop being open source to protect themselves financially. If you think about Apple, they guard their technology to the highest level as their platform is so valuable, if they were open source and shared all their technology to everyone, their designs would be copied and cheaper models would be released and ultimately Apple would suffer as a company. Also if technologists are developing software for free and then companies embrace this software when selling printers, should the developers not be rewarded for their work, as open source software can be an extremely valuable asset to a printer company selling printers who have not developed their own software. 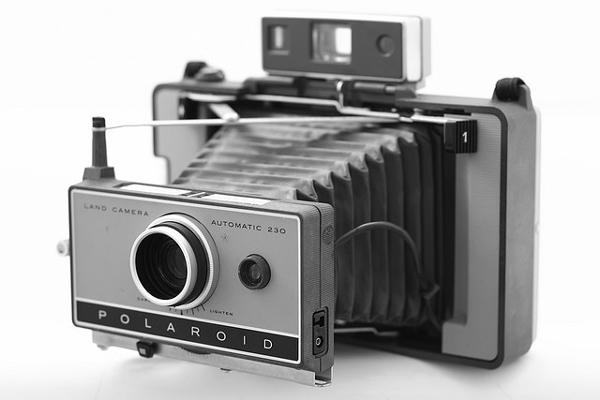 – How do you imagine design copyrights in the future? In the future I expect the 3D printing process to be more streamlined with direct printing ability that cuts out the need to slice the models. On top of this will be the ability to stream prints directly to 3D Printers using wireless technology, it would simply be a file-print option. I think hobbiests who are designing for fun will not be worried about releasing their STL files for download. However top designers will want their work protected. I have had enquires from some of the top 3D print designers in the world who will not share their STL files due to the risk of them being copied and shared without their consent. 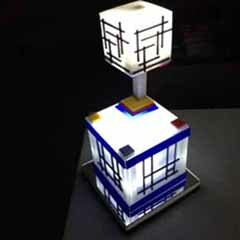 Some top designers have insisted on a model where their designs are streamed to the printer and the print code is good for only one print, so the user will only be able to print one copy of the design. I personally don’t see an issue with this, however the designs have to be proven printable and the technology needs to be to a point where printers are 100% reliable in that when you print an object you know it will print and there is no risk of print failure. 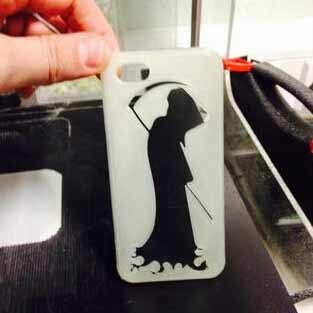 At the moment 3D printing can be quite ‘clunkly’ in that sometimes prints fail for various reasons e.g. don’t stick to the print bed, warping issues, printer extruder gets clogged with plastic etc. All these things need to be ironed out before we can get to a point where streaming of files is commonplace. At the moment STL is the best option with the current level of technology that the printers offer. Maybe FDM is not the final answer for 3D printing? – The 3D printing process is still very complicated for beginners! Yes, it is very complicated. If you download an STL file, you can’t print that STL file. You have to slice the STL file into layers so that the printer can understand how to print the design. You need separate software for that, which creates a print code called the G-Code. For example, Makerbot’s slicing software is Makerware, Ultimaker’s is Cura and Solidoodle has open source software Repetier Host. Without the slicing software, you can’t print. As mentioned above the easiest way would be to have a ‘direct’ print option, but the technology needs to advance further. 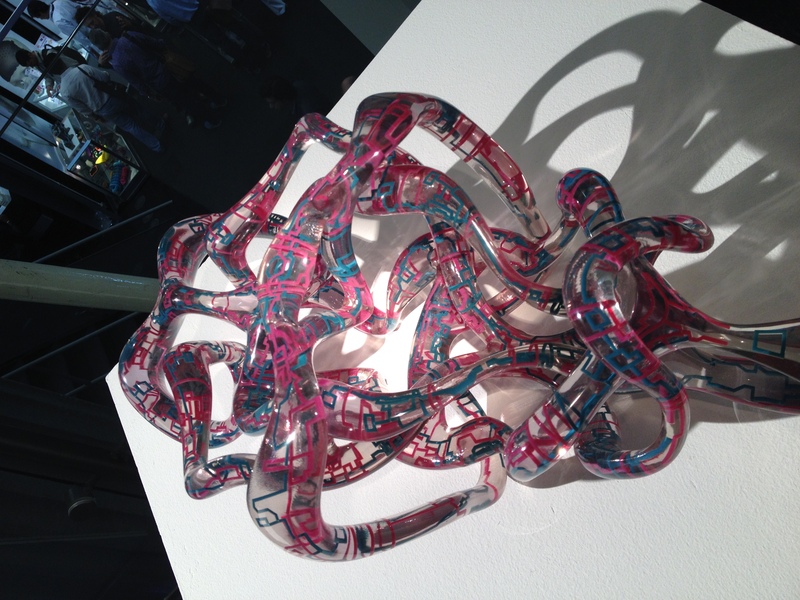 Philip Cotton also recommended Bonnie Roskes’ ‘Modelling with Sketchup‘ for 3dprinting. As always you may head over to the 3D Printing & Education forum at 3DPB.com to discuss this story and others related to the education space with our community. 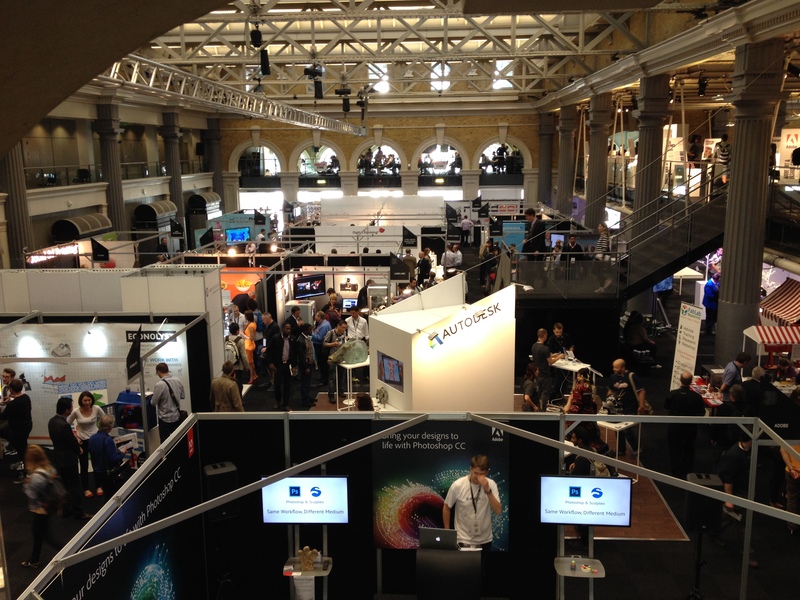 3Dprintshow 2014 rocks London once again. 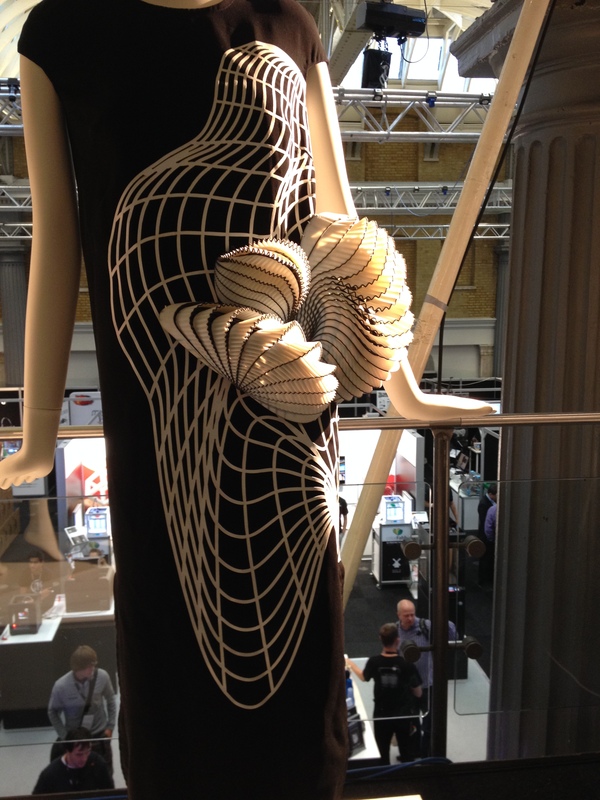 The return of the 3Dprintshow to London was one of the most highly anticipated 3dprinting events of the year. The event started three years ago as a small get together of growing 3dprinting enthusiasts/companies and it has now turned into a Global brand expanding year on year helping spread the 3dprinting revolution. Year one was solely London, year two was London, Paris, New York and now year three is London, Paris, New York, Dubai, Berlin, California, Milan, Madrid and Mexico with further plans announced at the annual awards for even more destinations in year four. 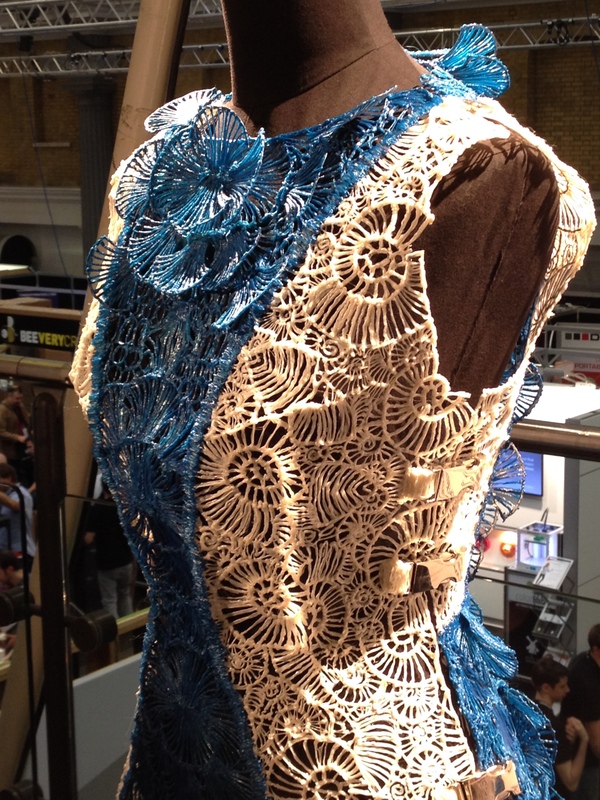 One thing has to be certain is that every year the 3Dprintshow tops the previous year and is a standard barer for the rest of the 3dprinting community to try and follow. 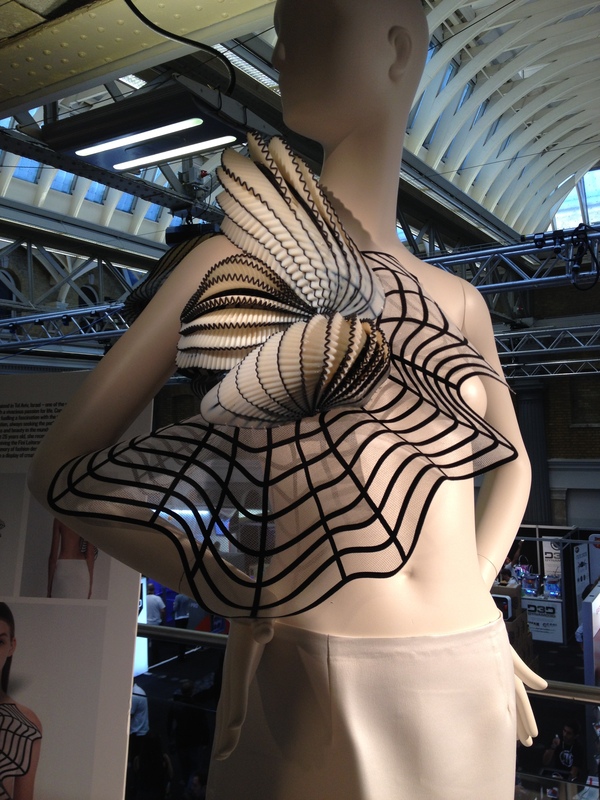 On show was an unbelievable exhibit of the latest 3dprinting fashion, technology and consumerism for the world to see with possibly the best art exhibition I have ever seen. 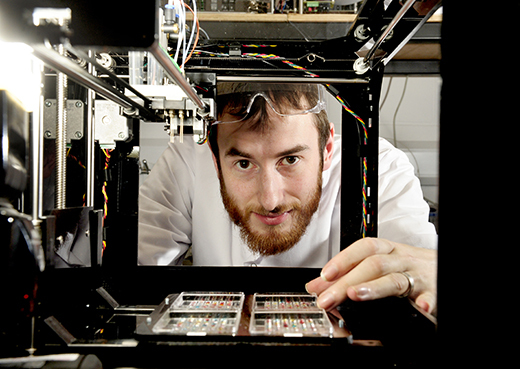 More innovative exhibits ranged from the 3Dprinting of soil to Bio Printing of stem cells by PHD graduate Alan J Faulkner who won an award for ‘Inspirational Individual’ for his research into creating a Bio Printer to aid with Stem Cell research. The use of 3dprinting in the medical industry is one that will change lives beyond anything we have ever seen, I wonder what will be in the ‘3dprinted hospital’ next year? Thrown onto the show floor was the usual printer companies jostling for the title of best consumer printer with big players such as Ultimaker and Makebot dominating, along with growing brand Beethefirst. Last year Beethefirst exhibited on a single table, this year they claimed the show floor with their award winning brand of printers that won best ‘consumer printer and best prosumer printer’ at Thursday nights’ Global 3dprinting awards. This brand has won the design contest of all the printers hands down. Anything that resembles an iphone is a winner by my book and they have a infectious likeability factor that draws you to their printers. This company is one to watch in the future. 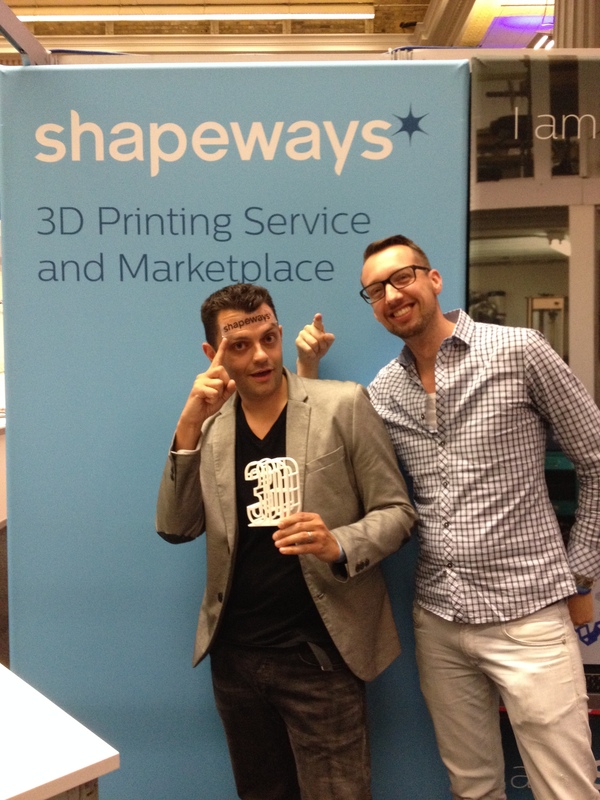 Shapeways exhibited their brand with their European team on hand to answer any questions and their enthusiam for 3dprinting is a reflection of how much we owe to the Dutch in their pursuit of world leaders in the technology. Holland has thrown out Shapeways, Ultimaker and 3Dhubs (who have just had a cash injection of$4,5 million) and there are many more smaller Dutch companies waiting in the wings that are sure to make an impact. 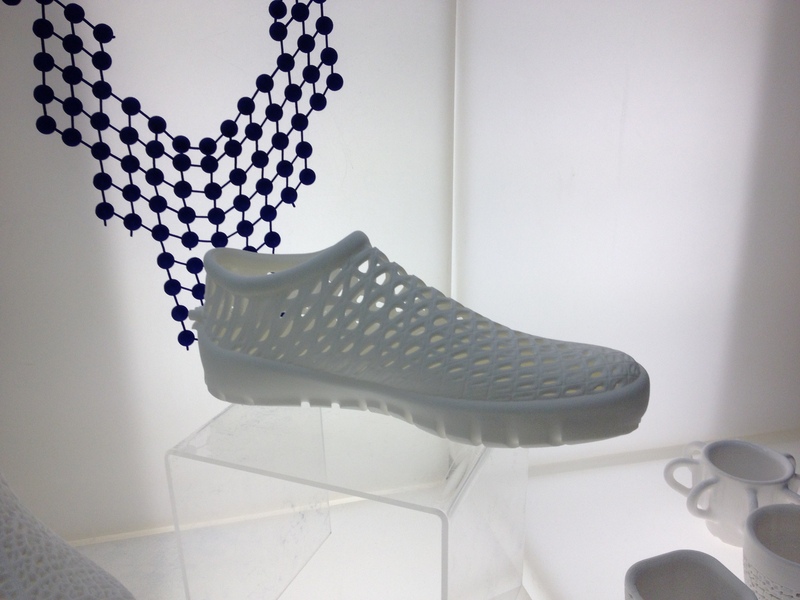 From such a small country they are surely making their mark in the world of 3dprinting. Educational Excellence Philip Cotton (for the 2nd consecutive year). Best Prosumer Printer BeeTheFirst by BeeVeryCreative (not a mistake – they won both categories). 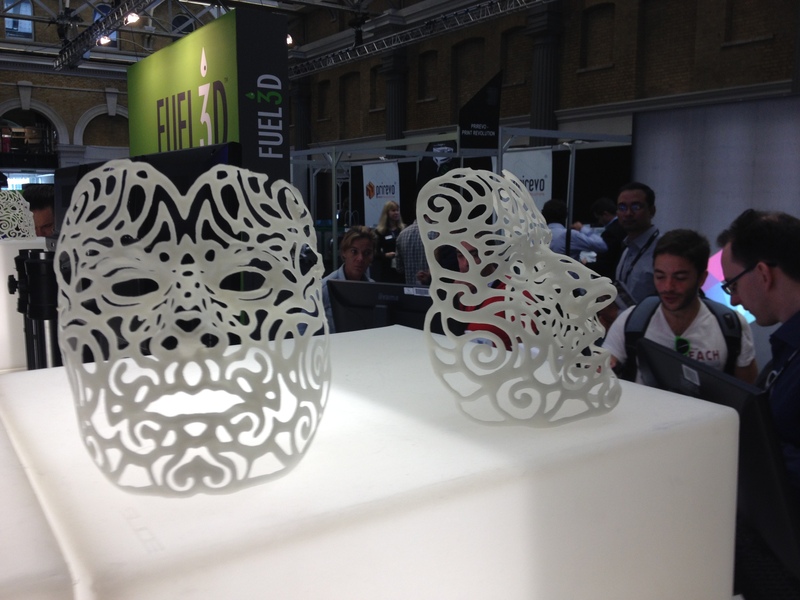 The 3Dprintshow was again another great spectacle of 3Dprinting and I can’t wait for the next one. 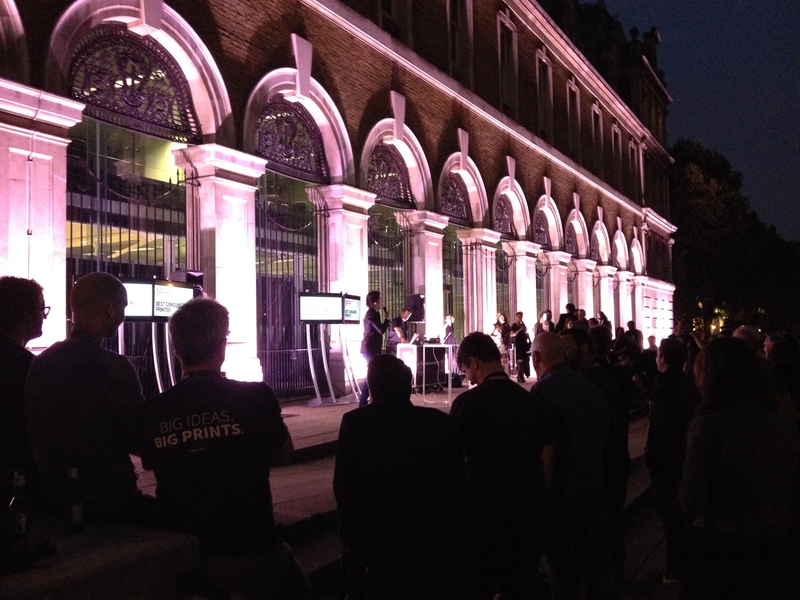 Like my first ever blog about the 2013 3dprintshow I could go on for ever describing the event, however I will let the photos do the talking……. 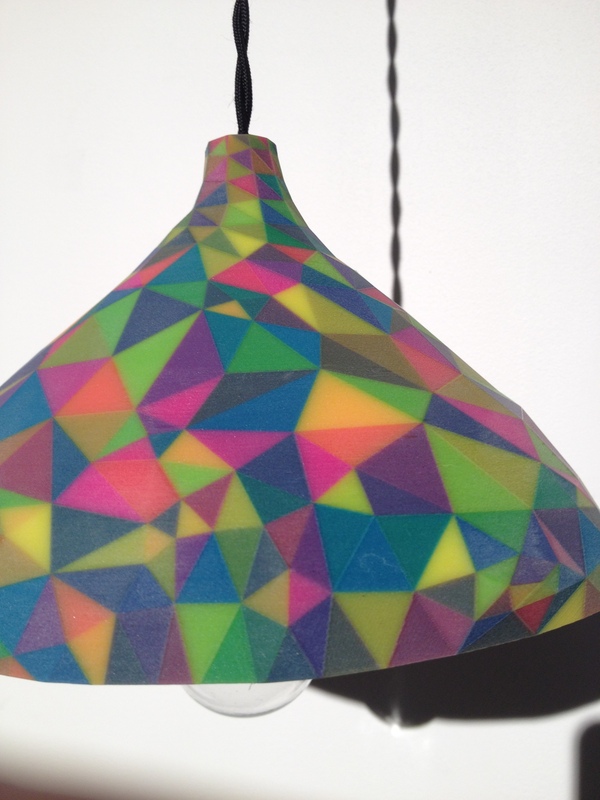 ‘Tie-Dye’ and 3dprinting – A colour revolution by ‘Richrap’. 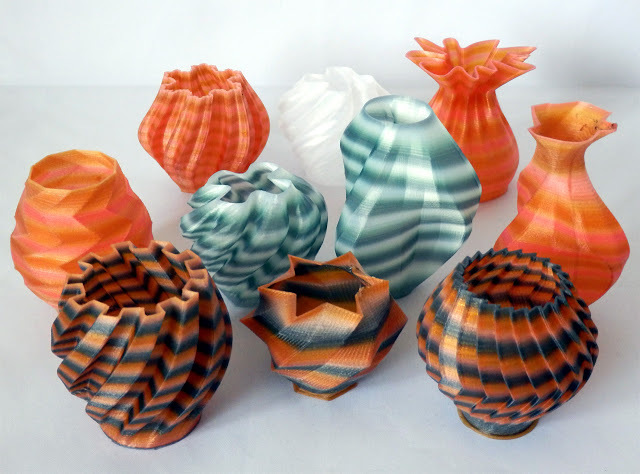 3dprinting can be quite rigid at times, most printers only print in one colour, some have dual extruders that can print in two colours and a few might even have triple extruders that allow three colours. However, the majority of parts printed on FDM desktop printers are in one colour. If you want to change colour whilst printing on these single extruder printers you have to stop the machine and change the filament roll manually. This is hardly a streamlined process. Imagine if we had to do this with ink jet printers? You would never print anything in colour. Richard Horne, the creator of the blog ‘Richrap’ is making strides with multi-colour filaments that when printing give a ‘tie-dye’ effect on the printed models. The best thing about his research and development is that you don’t need to change the filament. 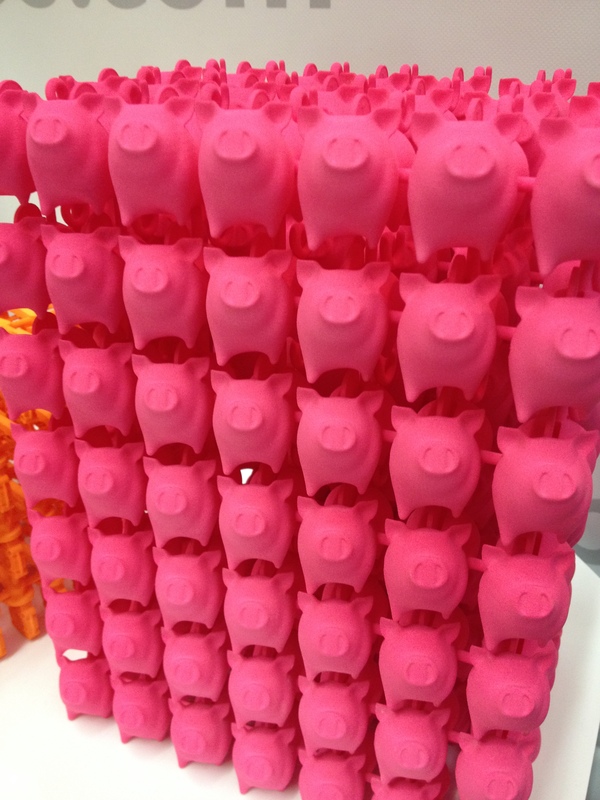 These models are printed from using Nylon dyed filament that is a single roll. After interviewing Richard he explained that he had asked many different manufacturers if it was possible to product filament reels that ‘changed colour through the roll’. 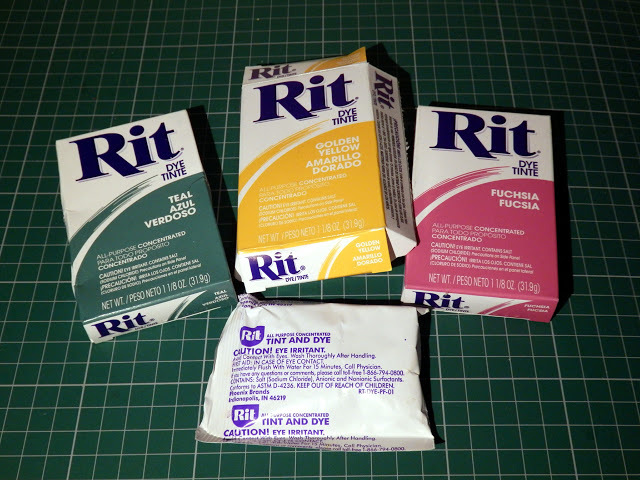 None of them could offer a solution to his requests so Richard started to experiment with dying Nylon filament using ‘Rit’ colour dyes. The results were spectacular as shown above. The effect is an unpredictable, creative tye-dye effect that throws life back into multicolour printing. The different colours naturally blend into each other removing the rigid lines commonly associated with traditional multi-colour printing. Richard explains in his blog and youtube videos the process behind the dying of nylon filament. 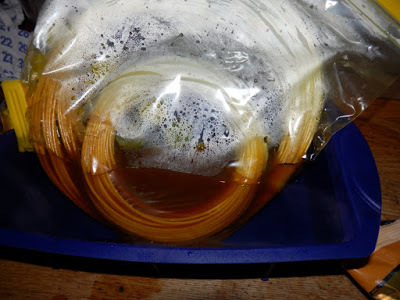 In simple terms he mixes some dye (a complete sachet) with boiling water (200ml) in a jam jar until fully dissolved and then adds the dye into a plastic zip lock bag. 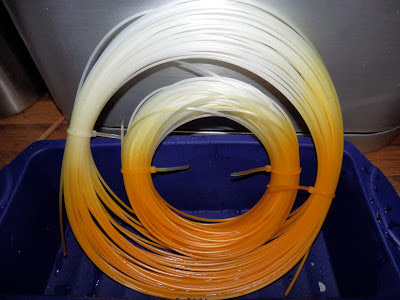 He then adds the filament making sure only half the coil is dipped in the dye and then leaves it for 30 minutes. 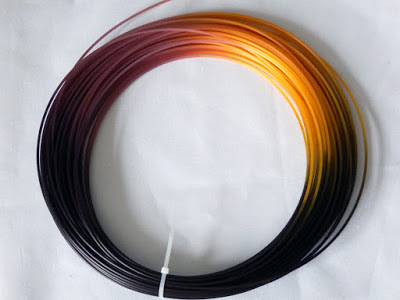 The result being a single coil of filament is now multi-coloured. After trialling the filament there are no issues and the material behaves exactly like it does in its original form. In terms of dying full rolls? This is not possible as Richard explained that the dye and salt residue would be remain trapped in between the layers of filament, therefore the only successful way is to dye loose coils of filament. When asked about the future of 3dprinting Richard states, “For both home and industrial 3D printing, we are very much still in the early adopter and hype phase, the media does not know how to report advancements with 3D printing and often makes these machines sound magical and able to do almost anything. As more people are exposed to home 3D printing and become aware that in some aspects of our lives industrial 3D printing plays a big part in manufacture (hearing aids for example) and has been used for ‘rapid prototyping’ for over 30 years it will start to plateau. For home 3D printing we already have some fundamental limits in the melting of plastic, speed and quality, so people will catch up to the reality of what’s possible and we may require a lot longer than 5 years to have really useful home printers. Materials are the hot and exciting topic at the moment; many areas of research and development are looking at all sorts of materials for home and industrial 3D printers, this will continue and spread out even further into all aspects and uses for this technology.” I agree with his comments as desktop 3dprinting seems to be hitting a calm period at the moment. I am waiting for the next huge development in FDM technology to keep 3dprinting advancing. In the meantime people like Richard Horne are innovating and keeping the area interesting with unique developments like this. 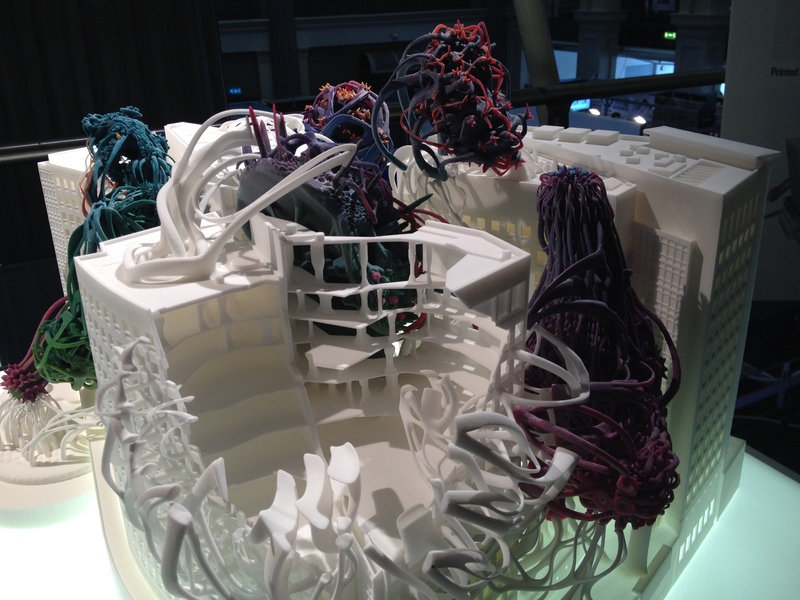 Bring Birds back to the city with 3dprinting and ‘Printednest’. 3dprinting to help birds? 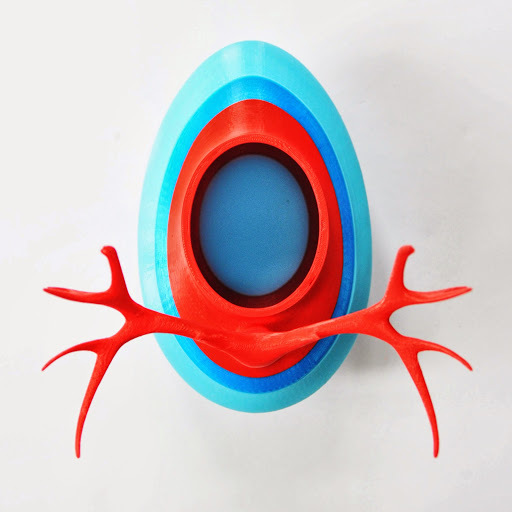 We all know how 3dprinting can help people, almost every day there are more news articles explaining how 3dprinting is revolutionising the medical industry. The E-Nable group is making great strides with prosthetic hands and helping disabled people through a community of volunteer 3dprinters who print limbs for people. 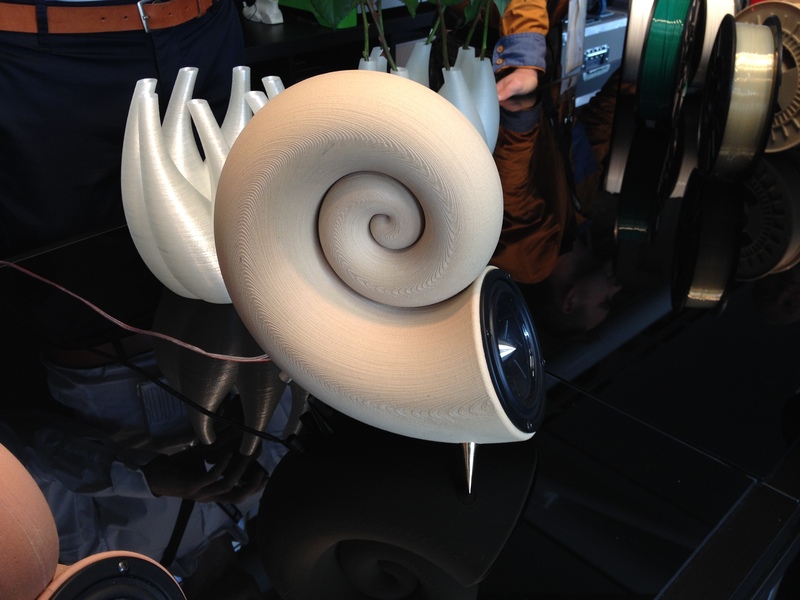 Now there is a growing 3dprinting community helping nature called ‘Printednest’. Printednest’s aim is to bring nature back to the city with an innovative design for a bird feeder. The bird feeder being 3dprinted of course and in usual 3dprinting fashion the design is spectacular and unique. Rahim Petruska from Printednest, explains the philosophy behind printednest is ‘to show people, how 3D printing can realize any idea, creativity, and connect different professions together.’ The concept truly defines how 3dprinting can innovate and change the course of nature. With the increased urbanisation of towns and cities, the presence of nature within cities is dwindling. This project aims to reverse that by providing feeding stations to entice birds to migrate back to the city. The design, if printed from PLA will biodegrade within a year and by that time you would assume the residents would have ‘fled the nest’. 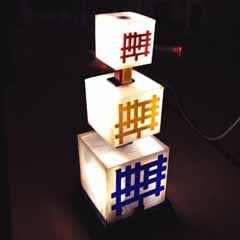 In addition to this all the designs are open source and have been listed on multiple 3dprinting communities such as Thingiverse, 3dfilemarket and Shapeways. The design is also based upon nature as well, the main body of the birdfeeder resembles an egg shape and then the ‘perch’ is based upon a deer’s antlers. Truely unique design with a nice ‘biomimicry’ twist. Printednest state the ‘cornerstone of their philosophy is feedback from users who they consider part of their design team’. They describe it as ‘open cloud design’. Users can download the latest versions of the designs, 3dprint their own bird feeder and then register it on printednests global community. Currently there are 36 bird feeders in 23 cities in 6 countries and they are expanding fast. Even if you don’t have your own 3dprinter you can customise your own bird feeder through their customisation app on their website. 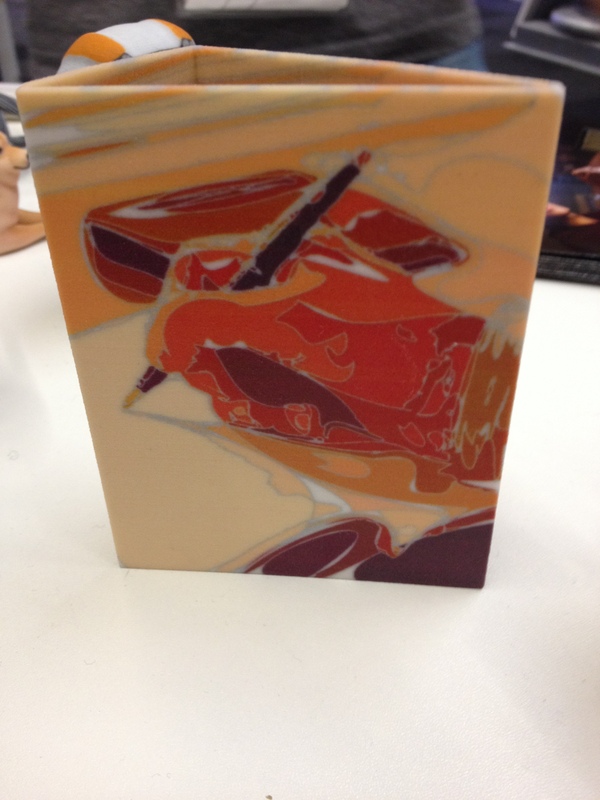 You choose the colours and the personalised message, then order and they will 3dprint and dispatch to your address. (Just click the link below to see how it works). 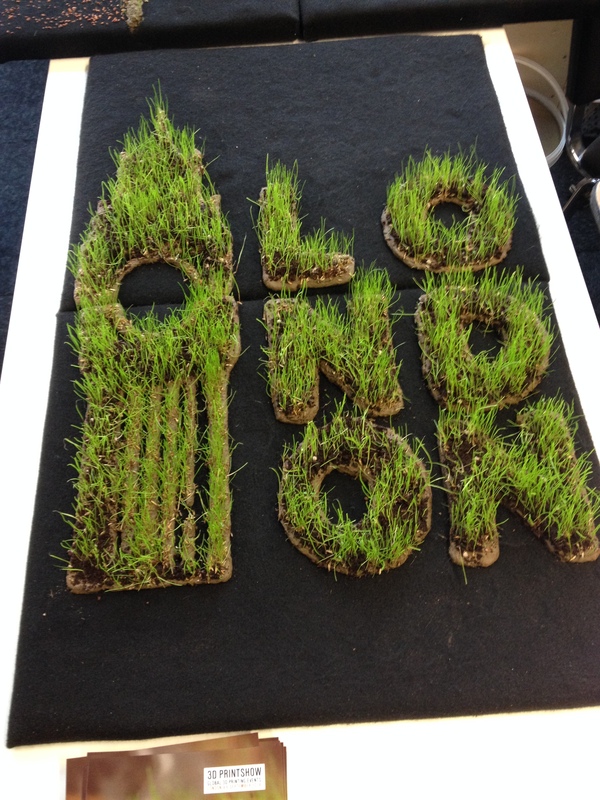 This is a great project to give something back to our society by encouraging nature to return to the cities! 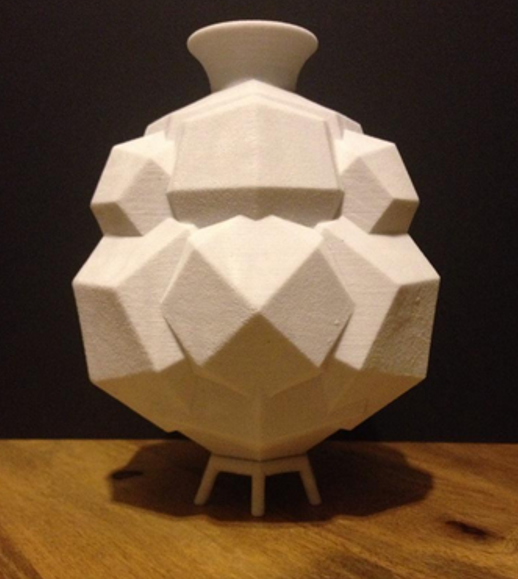 You can also donate to printednest through the 3dfilemarket.com by clicking the image below.